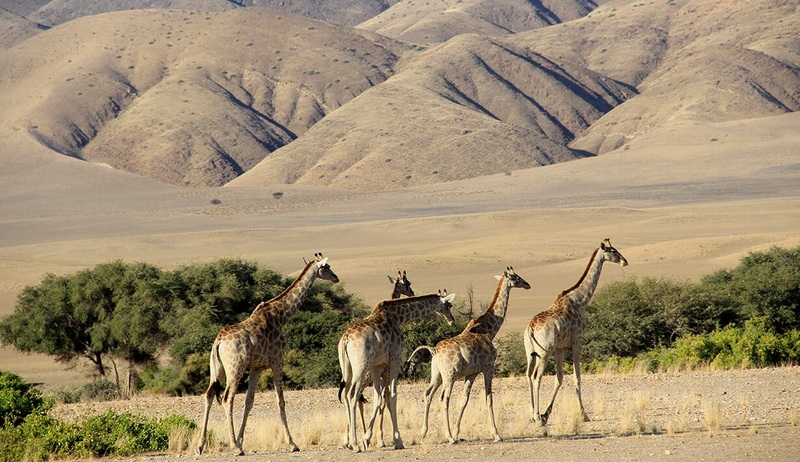 This adventure self-drive safari will take you through the classic Namibian safari route, with a focus on discovering all that these remarkable lands have to offer on foot. Bringing you to enchanting locations where fantastic walking and hiking opportunities abound, you will get up-close to Namibia’s bountiful wildlife and dramatic landscapes. Covering an exceptionally diverse array of terrains and areas, you will gain a unique perspective on all that makes Namibia so special. 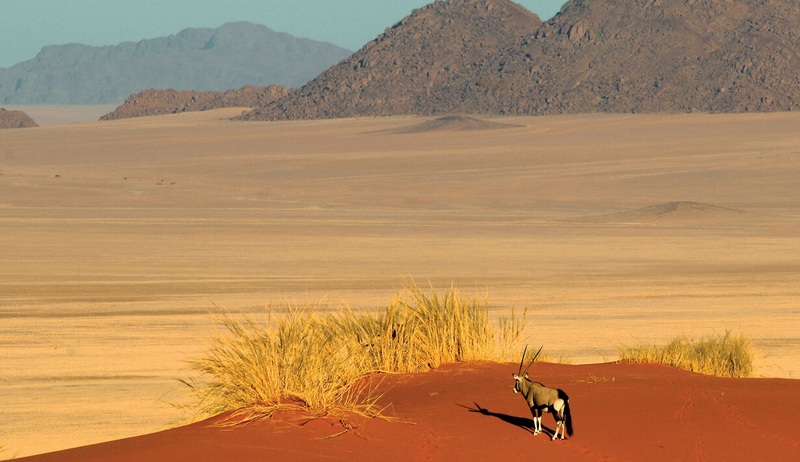 With included walking trails such as the famous Tok Tokkie trails guided desert walk through The NamibRand Nature Reserve and a 2-day overnight walking adventure, you will visit spectacular areas such as the Etosha National Park, Mariental in the Kalahari, Swakopmund, Sossusvlei, Twyfelfontein and Okonjima, the home of the wonderful Africat foundation. 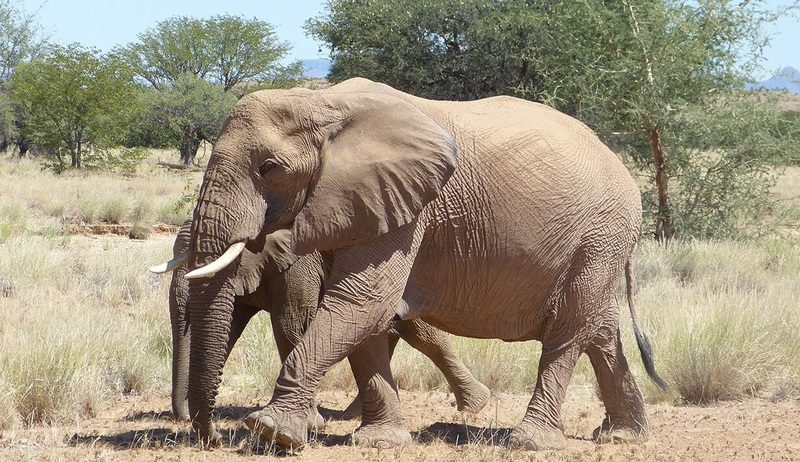 You will spend your days walking or driving through some of the most spectacular scenery in Africa, searching for Namibia’s abundant birdlife and wildlife including big cats, elephants, giraffes and much much more. With 4x4 car hire and good-quality accommodation included, this thrilling adventure is guaranteed to impress. Shown prices are per person in low season, based on 2 people sharing. Please note, a number of the walking trails included in this itinerary will require a relatively good level of fitness, with walk times ranging from 1 hour to all-day. Welcome to Namibia, an enchanting country where the landscapes and cultures are as diverse as the wildlife that abounds here. 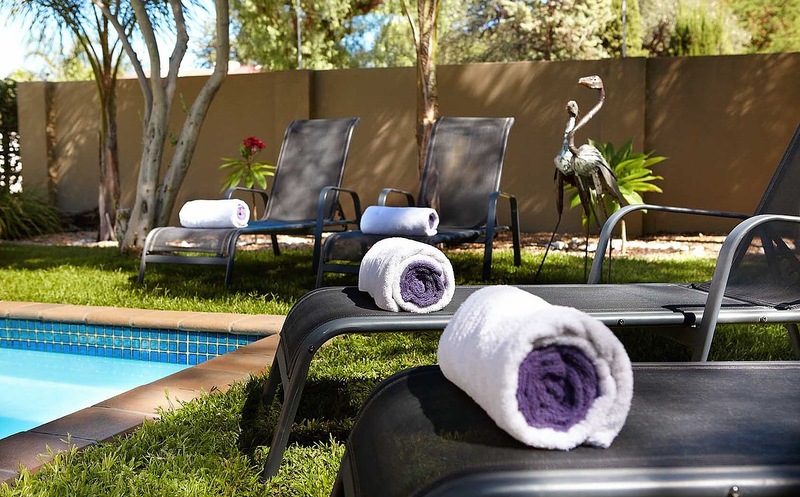 Having arrived independently to Hosea Kutako airport in Windhoek, the charming capital of Namibia, you will be met at arrivals for your luxury private transfer to the Villa Violet Bed & Breakfast for your overnight stay. After settling in to your welcoming en-suite bedroom you may have time to explore your surroundings and take in dinner in one of the nearby restaurants, before enjoying a great night’s sleep in preparation for the adventures that lie ahead. 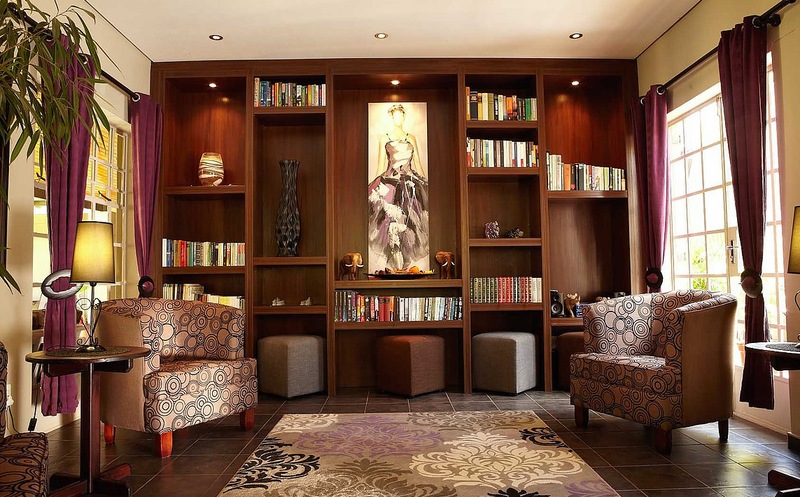 1-night accommodation in a standard room in Villa Violet B&B. Breakfast Included. Car hire: Your Ford Ranger 4x4 (or similar) will be delivered to you today at the hotel. Your 14-day rental will include Classic Plus Super Cover Insurance, and the car will be equipped with air-conditioning, Bluetooth, USB and power steering. Please ensure all drivers have a valid unendorsed driver's license and passport with them to take delivery of the car. 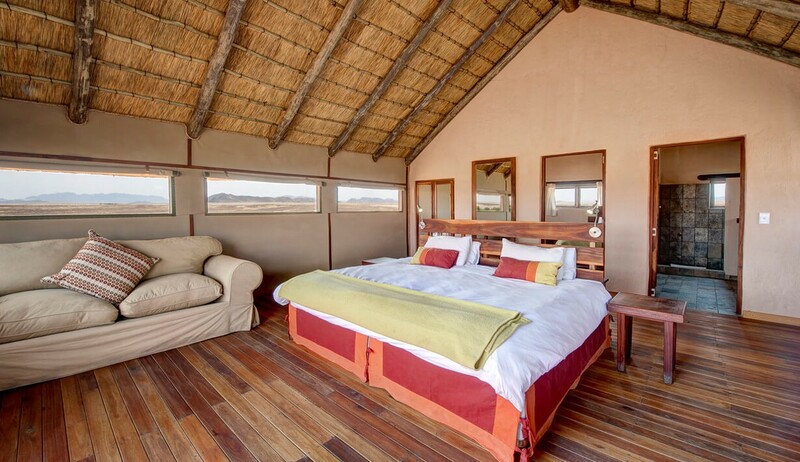 After a great night’s sleep and a tasty breakfast, this morning your self-drive Namibian adventure will truly begin as you make an approximately 3-hour drive from Windhoek to the fantastic Kalahari Red Dunes Lodge. Driving directions will be provided for each journey of your itinerary. 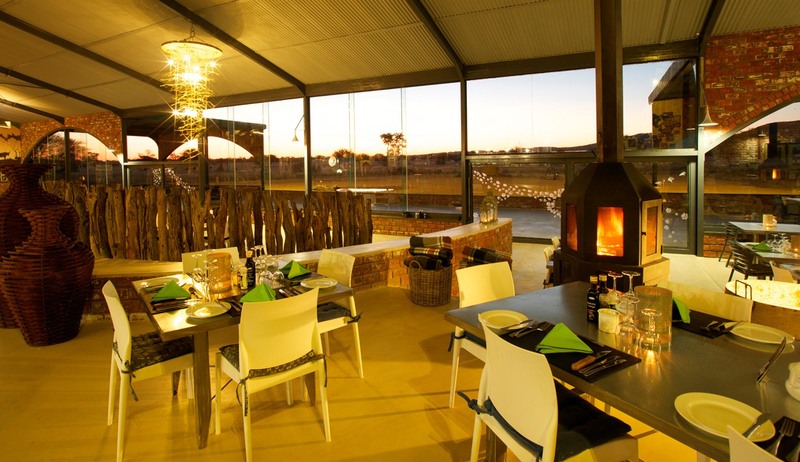 Upon arrival at the lodge, which lies on the banks of a vlei and is surrounded by some of the most beautiful sand dunes of the Kalahari, after settling in to your comfortable stilted guest chalet you can choose from a number of optional activities that will be available. A number of various hiking trails on a well-developed network of paths are on offer here, from one-hour walks to full-day excursions, with or without a guide. 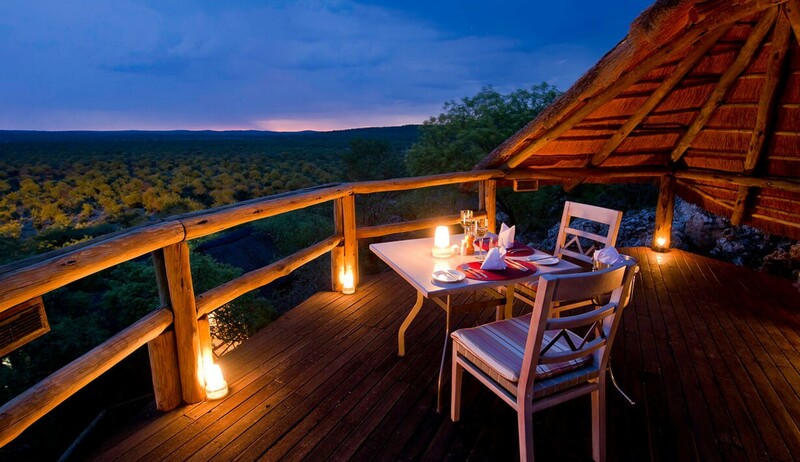 Early morning and sundowner game drives are also offered. 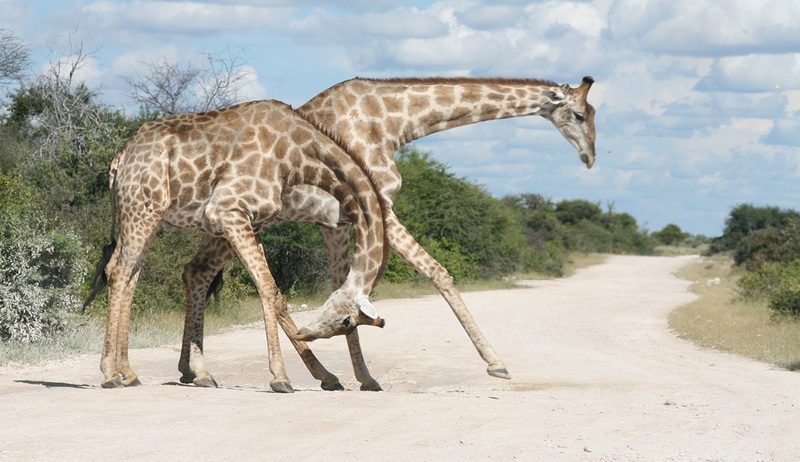 Whether you choose to explore by foot or by vehicle, you can be on the lookout for sightings of the large wildlife populations that can be found here including giraffes, impalas, zebras, nyala, wildebeest, oryx, springbucks and elands. There will also be the option of a visit to a devil’s claw plantation where you can learn all about the conservation of this endangered plant which is used for many medicinal purposes. 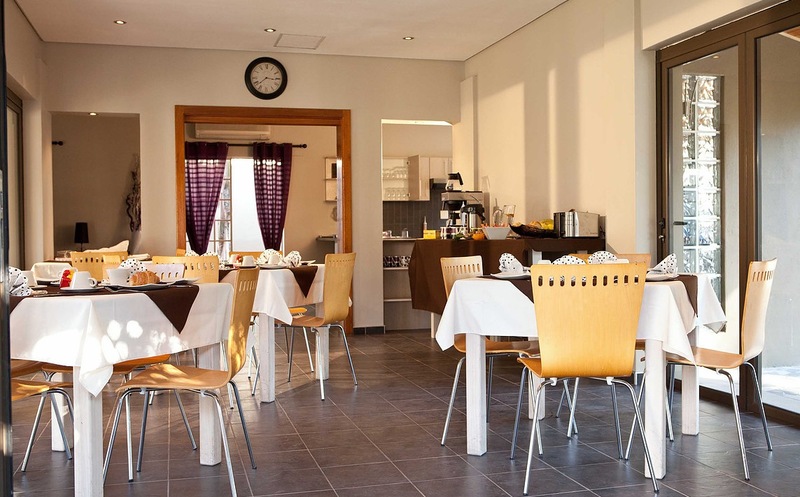 1 night’s accommodation at the Kalahari Red Dunes Lodge in a standard room with dinner and breakfast included. This morning it’s time for another 3-hour drive as you depart for your thrilling 2-night Tok-Tokkie Trails experience. This fantastic, authentic walking safari adventure will take you deep into the heart of the NamibRand Nature Reserve to enjoy the immaculate wilderness of one of the world's most beautiful deserts. 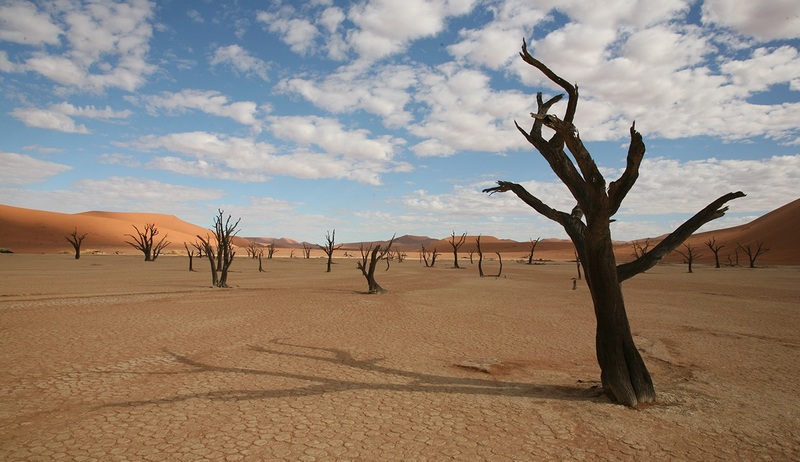 Walking the trails will allow you to discover the many secrets of the Namib that cannot be experienced when driving, and you will get to feel different aspects of the desert – from mountainous terrain to sandy dunes. 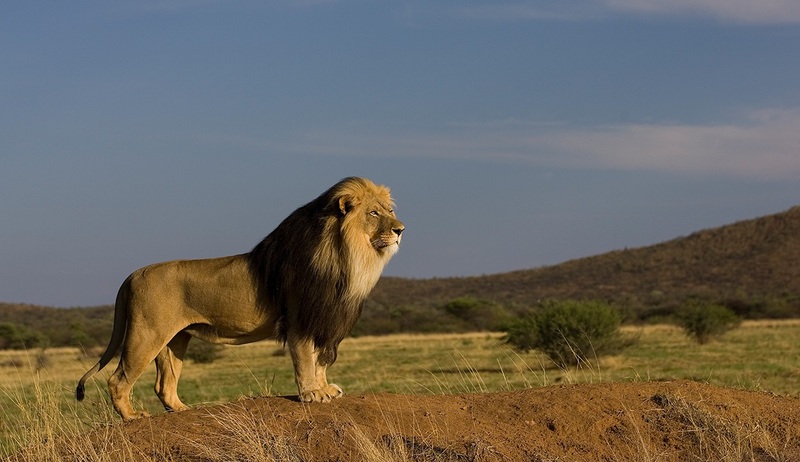 Far from deserted, the reserve is home to a wide variety of wildlife species including gemsbok, mountain and plains zebra, springbok, leopard, baboon, red hartebeest, bat-eared fox, spotted hyena, cape fox, and African wildcat to name just a few. 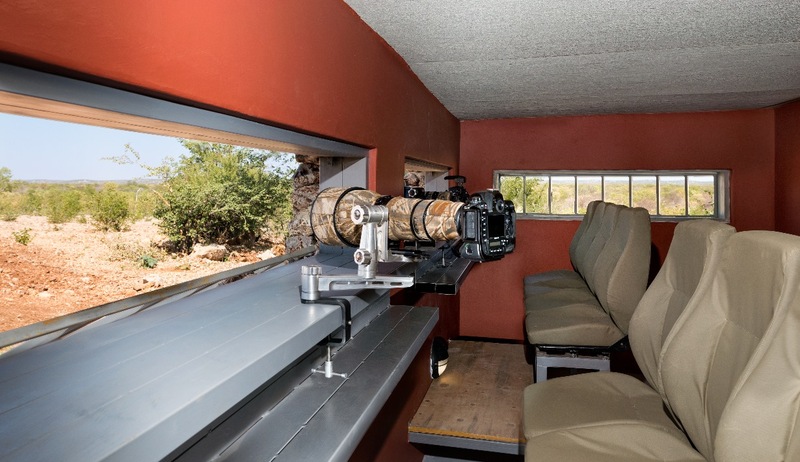 On top of this, over a hundred species of birds have been recorded so birding enthusiasts will be in their element here. 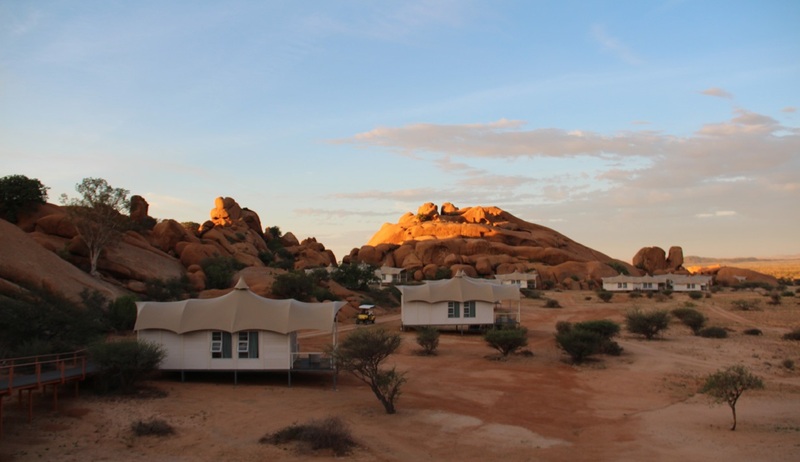 Accompanied by experienced Wolwedans guides throughout, you will enjoy an in-depth exploration on foot each day before arriving at camp in the early evenings to sleep-out on the provided stretcher beds under the stars. The NamibRand is a designated International Dark Sky Reserve, a prestigious honour and yet another reason to visit this unique area and experience the splendour of the night skies! On day 3 of your itinerary you should arrive by 2pm to meet your guides who will give you a small daypack for the personal items you would like to take along on the walk. The rest of your luggage will be transferred by vehicle to your overnight camp. 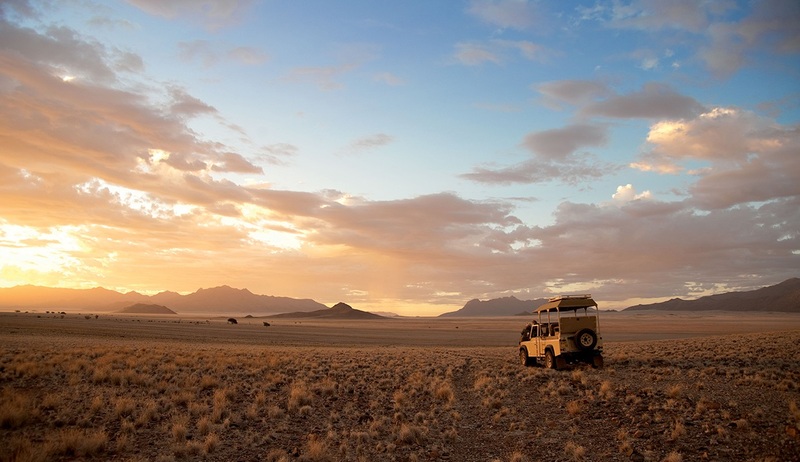 After your morning drive, there will only be between 1 to 2 hours of walking today before you reach your camp to relax with a sundowner, marvel at the magnificent scenery and start “feeling” the desert, before dinner is served and we settle down for a night under the crystal-clear skies. 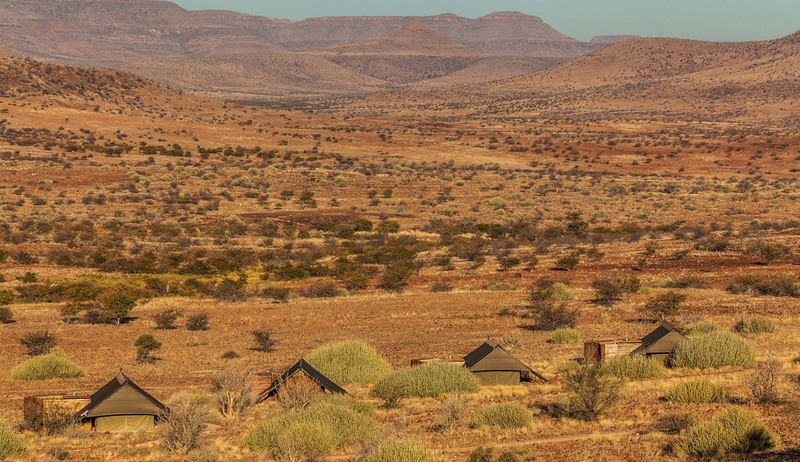 The feeling of “sleeping-out” in this stunning wilderness surrounded by nothing but silence and the odd hoot of an owl in the distance or a barking gecko will certainly be one to remember! 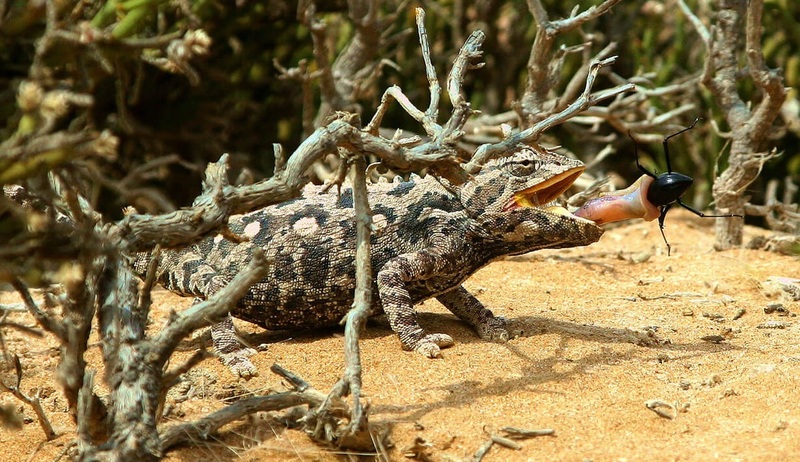 The second day of your Tok-Tokkie Trails adventure will see you set off after breakfast for a 4-4.5 hour walk through the dunes and plains as the oldest living desert in the world comes to life and wildlife such as barking geckos, golden moles and the Namibian endemic dune larks start to make an appearance. Moving onwards you will walk over a mountain saddle before descending gently to a dry riverbed. During the course of the day your guide will explain some wonders of the Namib to you including how the numerous insects, reptiles and mammals manage to survive here in this relatively harsh environment. Lunch will be provided under the shade and a well-deserved rest will prepare you for the next portion of your walk. This afternoon we will enjoy a further 2-2.5 hours walk over the dunes to your second overnight camping spot. 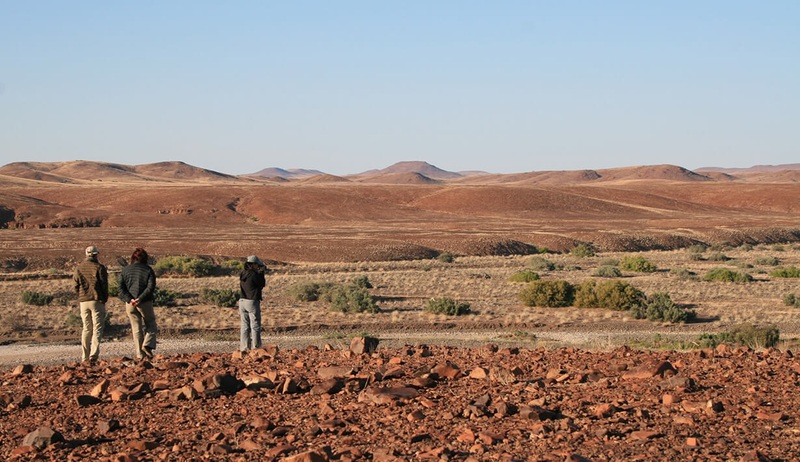 After breakfast on the third morning of your Tok-Tokkie trail there will be a 3-3.5 hour walk through the soft and rolling dunes that are interspersed by camel thorn trees, to arrive at the Tok-Tokkie Farmhouse and the end point of your trail. Tok Tokkie Trails is a fully outdoor experience, full details of which will be provided to you. You will sleep outside, eat outside and walk outside, all surrounded by spectacular wilderness scenery. All meals and drinks (including select alcoholic beverages) are included throughout, as well as your stretcher beds and toilet facilities. 2 nights’ Tok-Tokkie Trails experience on a fully-inclusive basis. 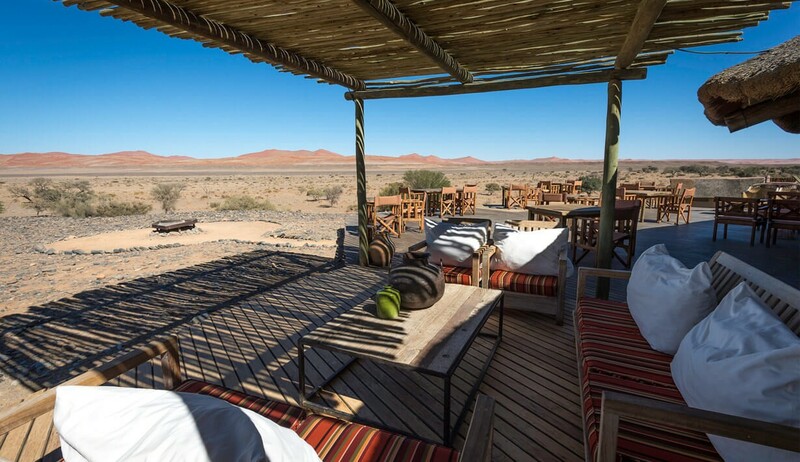 After your thrilling Tok Tokkie Trails experience you will take the short drive to the beautiful Kulala Desert Lodge for your next overnight stay. 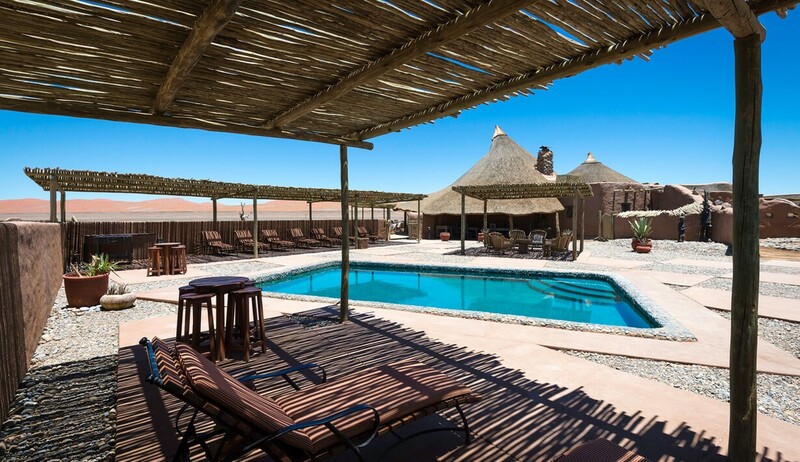 This family-friendly lodge is located within the arid Namib Desert on the 37,000-hectare private Kulala Wilderness Reserve and is perfectly located to discover the incredible Namib-Naukluft Park and the renowned red dunes of Sossusvlei. 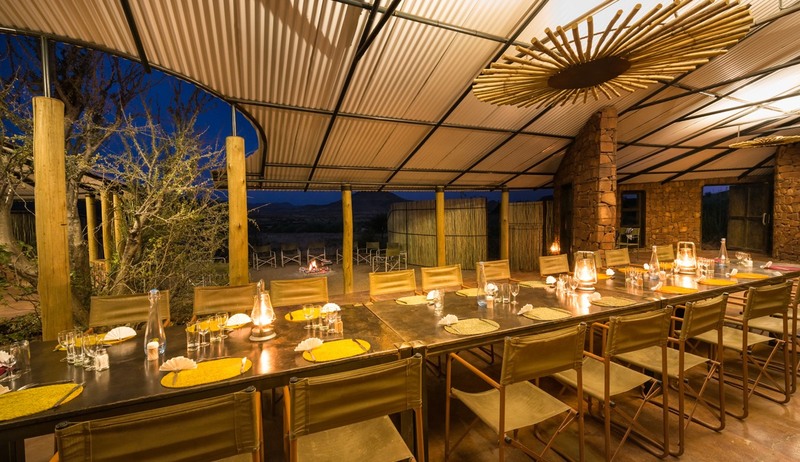 Depending on your arrival time you could choose to partake in some of the lodge’s numerous activity options which revolve around exploring the dramatic reserve and its ample wildlife population. Alternatively, you could simply relax after your exertions, indulging in the exceptional hospitality and soaking up the stunning views on offer. The magical and awe-inspiring beauty of the night skies can be enjoyed here just as much as on the last couple of nights, and you could even choose to sleep out under the stars again on the private roof-top sleeping platform of your welcoming en-suite thatched “kulala”. 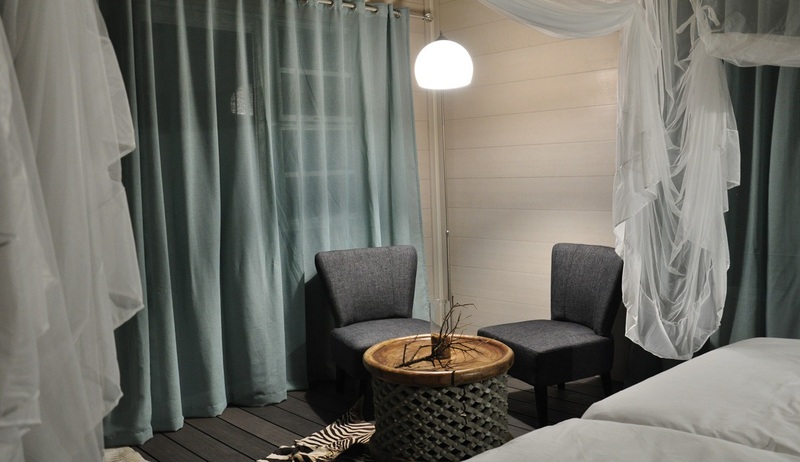 Of course if you’ve had enough of outdoor sleeping, the comfy bed inside your chalet will be a welcoming sight! 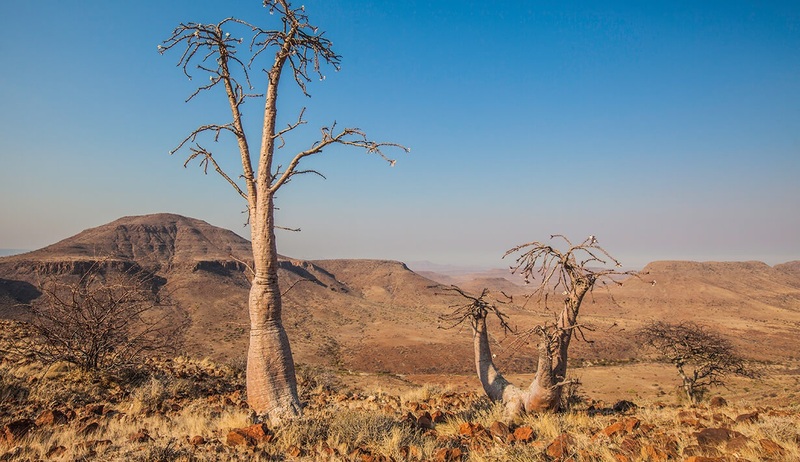 The nearby Namib-Naukluft Park is one of the least populated areas in all of Namibia, and if time and energy allows you will have the opportunity to discover this vast wilderness in all its glory, either this afternoon or tomorrow. If you are self-driving into this magical area, you could choose to wake early tomorrow and drive to the Sesriem gate and onwards towards Sossusvlei, around 70km from the Park entrance. Sossusvlei, with its monumental dunes, up to 325m when measured from their base, is one of the most famous destinations in all of Namibia. The entrance opens at sunrise and this is the best time of day to see the dunes. National Park entry fees of N$250 per person are applicable (children under 16 are charged N$100) and N$50 per vehicle per day. The last section of the road into Sossusvlei is 4x4 area only and you can either leave your vehicle at the car park and proceed either on foot (a beautiful walk), or take the shuttle which usually runs between here and Sossusvlei which is 5km away. 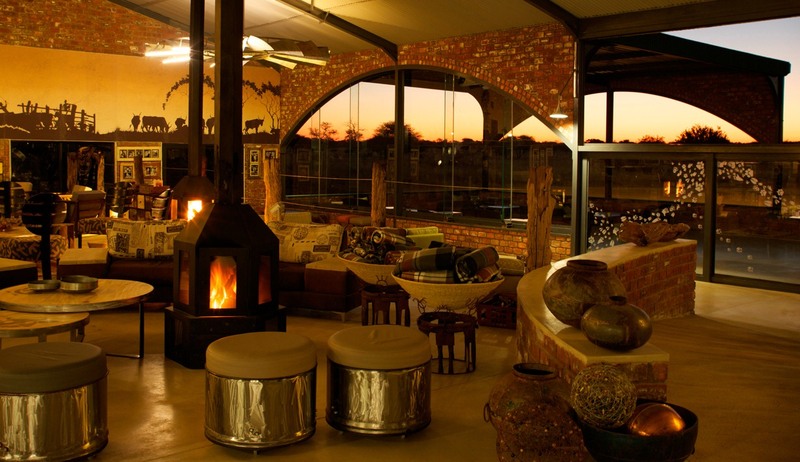 1 nights’ accommodation at Kulala Desert Lodge in a standard chalet with dinner and breakfast included. This morning you may choose to explore more of the Namib-Naukluft Park before setting off on your 5.5 hour drive to the coastal town of Swakopmund. 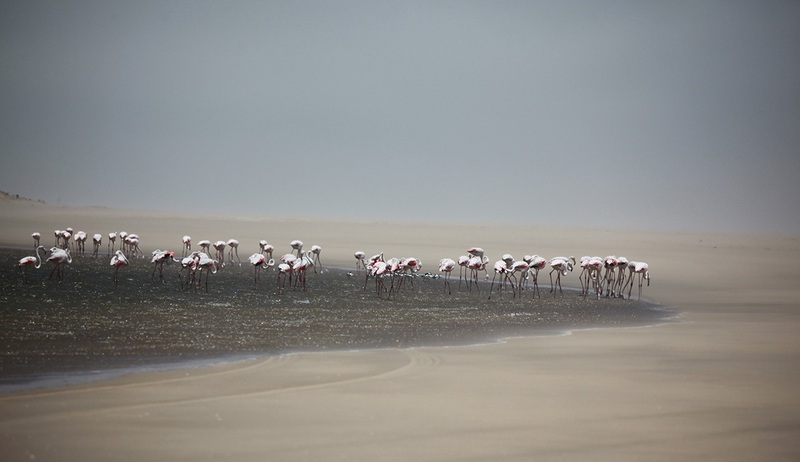 Before reaching Swakopmund, you may like to stop at Walvis Bay to see the famous lagoon, a wetland of international importance and home to many bird species including the greater flamingo. Your accommodation for the next 2 nights is the fantastic Strand Hotel, uniquely located on the iconic and historic Swakopmund Mole, and surrounded on three sides by the Southern Atlantic Ocean. The next two days can be spent at your leisure, relaxing after a busy start to your itinerary. You may wish to spend some time exploring around this unique town with its German architecture, monuments, historic buildings, well-maintained gardens, palm tree lined avenues, coffee bars and great seafood restaurants. If you wish to venture further afield, just outside of town you can find fascinating walks and drives in the ‘Moon Landscape’ or ‘Welwitschia Drive’. There are many adventure activities on offer in Swakopmund including sand-boarding, tandem sky-diving, fishing or quad biking which can be arranged prior to arrival. We can also recommend some excellent day trips including one which visits the marine sanctuary of Sandwich Harbour or a half day catamaran cruise from Walvis Bay which may offer the opportunity to see dolphins, fur seals and many species of marine birds. 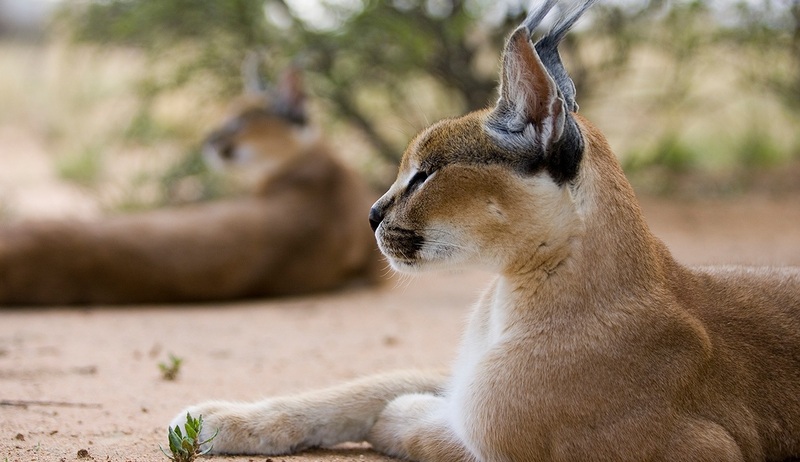 Other half day trips include the Living Desert tour which takes you into the dunes near to Swakopmund in search of uniquely adapted insects, kayaking with seals from Pelican Point in Walvis Bay, or a specialist birding trip in the area. Alternatively, you may wish to relax in the excellent grounds of your hotel which offers an extensive range of quality restaurants, bars, lounges and sea-facing terraces. Or simply spend some time in your bedroom soaking up the beautiful uninterrupted sea views. 2 nights’ accommodation at the Strand Hotel in a standard room. Breakfast included each morning. This morning you will leave Swakopmund behind and take an approximately 2-hour drive to Spitzkoppe for the next stop of your adventure. 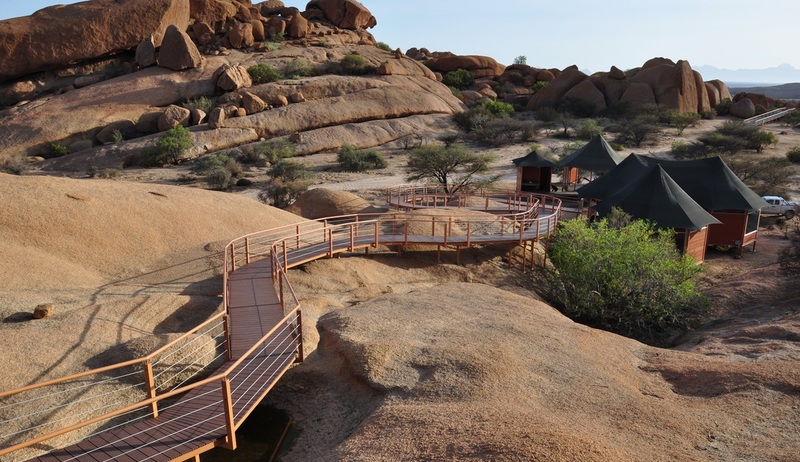 Your accommodation for tonight is the excellent Spitzkoppe lodge, situated on the northern periphery of the Spitzkoppe inselberg, between huge granite boulders which were created more than 150 million years ago, with breath-taking views onto the Brandberg and Erongo Mountains. Upon arrival you will be warmly welcomed and offered a number of optional additional activities to make the most of your time in this unique area. These activities include guided tours to archaeological sites, a crystal tour to the small miners in the vicinity, horse riding, photographic guided tours, cycling tours and abseiling. 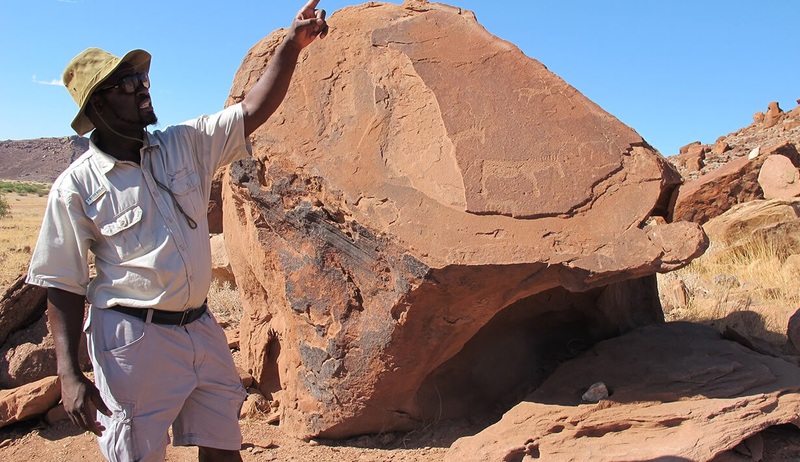 With plenty of free time today we highly recommended visiting world-renowned Twyfelfontein, about a 3-hour drive away, to see sights such as Burnt Mountain and the Organ Pipes, as well as seeing the fascinating Bushman Engravings that are iconic to the area. Another option is to visit the Damara Living Museum, a community venture where you can learn all about the traditional way of life for the Damara people. 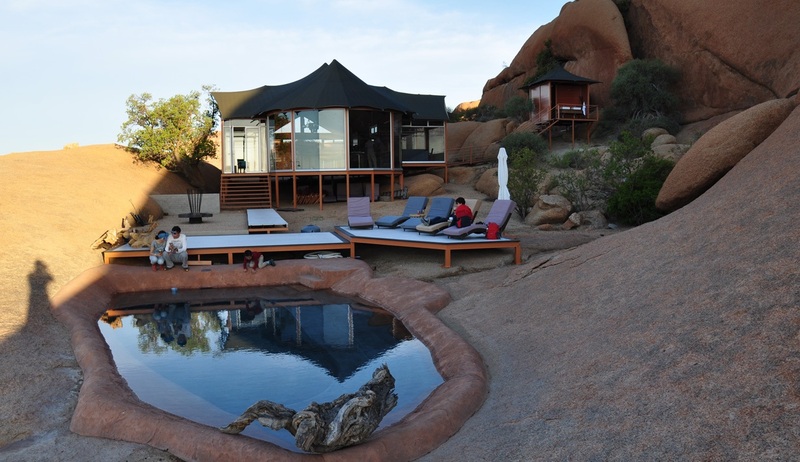 After a busy day you can relax amongst the granite rocks of this beautiful camp, soaking up the incredible views, taking a dip in the swimming pool, eating a delicious dinner and enjoying a good night’s sleep in your private en-suite chalet. 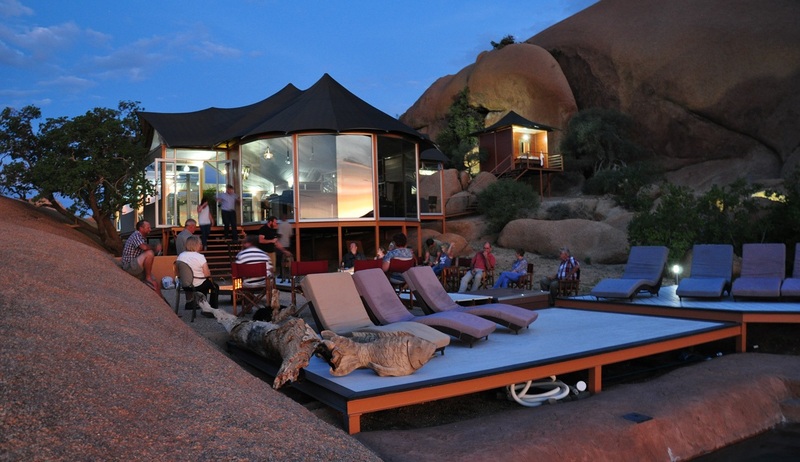 1-night accommodation in a private chalet at Spitzkoppe lodge. Dinner and breakfast Included. This morning you will make your way to Palmwag, an approximate 5-hour drive, for the next three nights of adventure. Access to the Etendeka Mountain Camp is by special 4x4 vehicle and you will be required to meet your guide at 4pm at Palmwag Lodge, so please plan your drive accordingly (full directions and instructions will be provided). You will be able to safely leave your car parked here for the duration of your stay and your guide will take you on the 90-minute scenic drive through the beautiful & rugged terrain of the Etendeka Mountains. You will then begin your fantastic included Etendeka 2-night Overnight Walking Trail Experience. Set in the foothills of the Grootberg Massif, this unique offering is a collaboration between the Etendeka Lodge Company and the Etendeka Community Trust to provide an authentic and exhilarating engagement with nature. On this excellent adventure in the company of some of Namibia’s most experienced and knowledgeable guides you will trek through one of Namibia’s most remote and untouched landscapes on foot, enjoy sundowners with awe-inspiring views and sleep-out each night under a blanket of stars. With magnificent views throughout of the ancient Etendeka basalt lava flows and flat top mountains, these rocky plains are home to an array of desert adapted plants and animals and your guides will offer you an in-depth insight into this geologically rich and diverse environment. 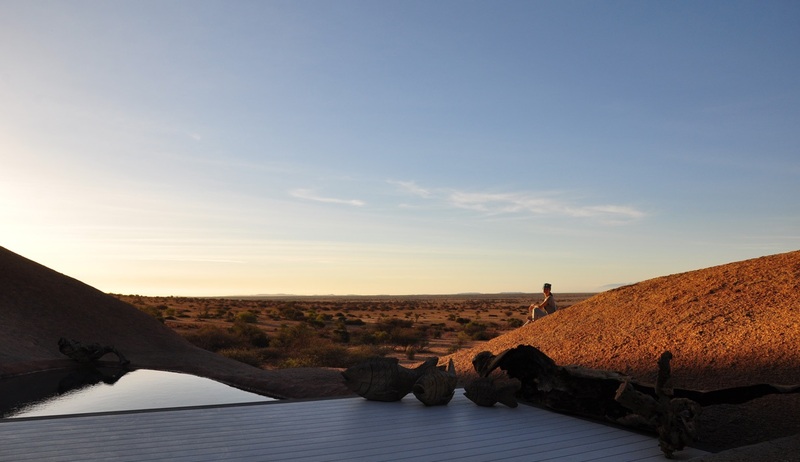 Trekking through shaded river beds and other-worldly rocky outcrops during the day, at night time you will sleep at one of two rustic overnight camps under the breath-taking desert sky. 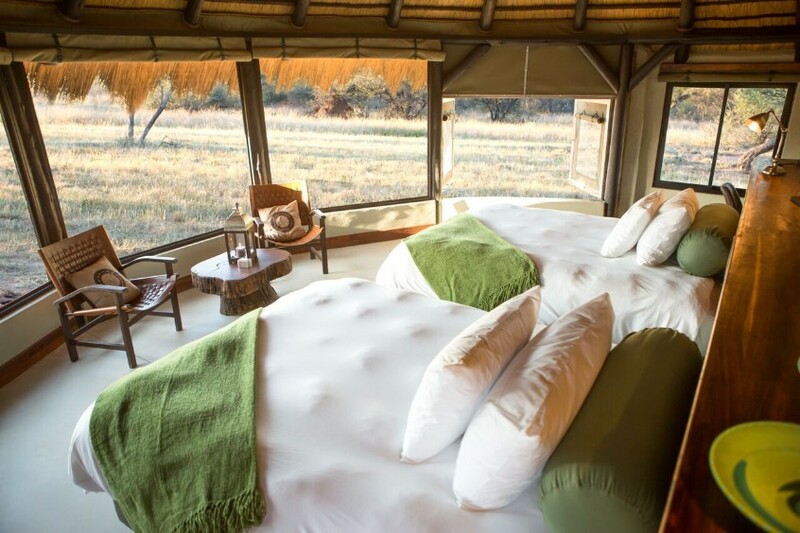 The five sleeping platforms at each camp have inflatable mattresses, 100% cotton linen and duvets, and are raised off the ground to ensure that guests are safe and comfortable. There are also communal open-air bathrooms including the much loved Etendeka bucket shower system. Day 1 of your walking trail will involve around 3 hours of walking and your luggage will have been taken separately to your first overnight camp in time for your arrival. The next morning you will wake up early to the sounds and smells of the wilderness and enjoy a light breakfast before setting off on your walk to the next camp. The route today of between 15km and 20km will be simply spectacular and should take around 6 to 7 hours. Arriving at camp in the late afternoon you can enjoy a short sundowner walk around the plateau before dinner around the fire. A short walk or 4x4 transfer the following morning will bring you to Etendeka Mountain Camp for a day of relaxation. Guided nature walks and scenic drives are available, but a day of rest will be well-deserved after the previous days’ exploits. 2 nights Walking Trail, fully inclusive of all meals. 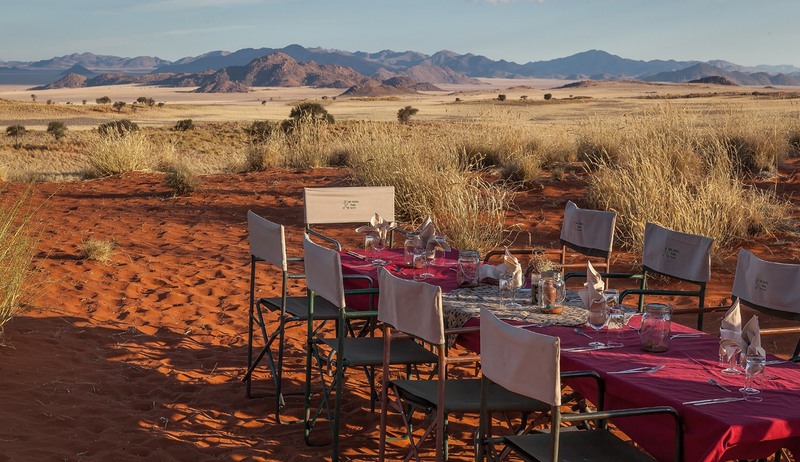 1 night accommodation at Etendeka Mountain Camp in a tent on a fully inclusive basis with two course dinner, continental breakfast, lunch, afternoon tea, a full bar, return transfers to the camp, guided nature walks and scenic drives. 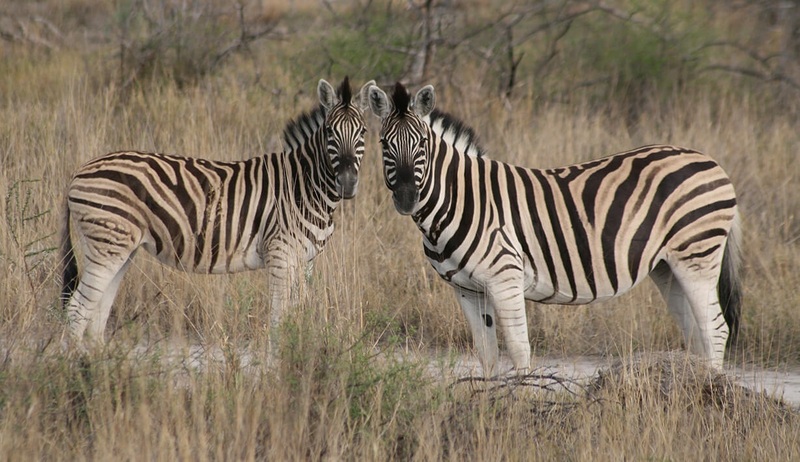 This morning you will begin your drive to the incredible Etosha National Park and what may well be the highlight of your whole trip. Your accommodation for the next 2 nights will be at the beautiful Ongava Lodge, on the famous Ongava Concession bordering the National Park. The drive from Grootberg to Ongava Lodge is likely to take in the region of 4.5 hours without stops, so you may wish to set off early to allow plenty of time to explore some of the wonders of the area. 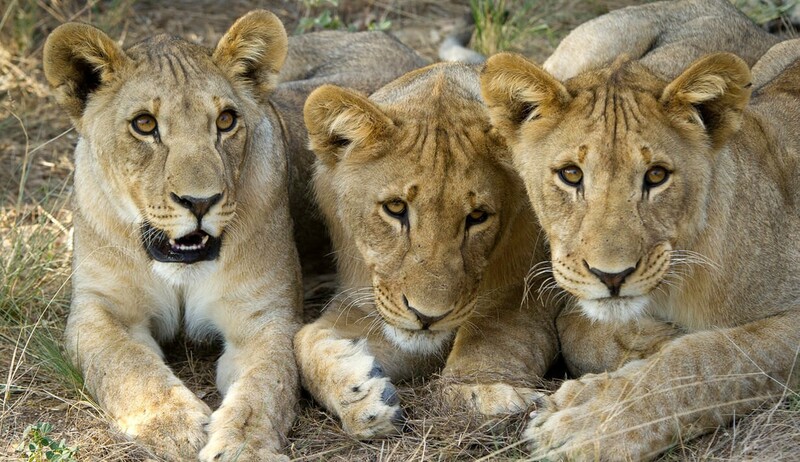 Although ideally located to enjoy the National Park, one of Africa’s largest game parks, the Concession is a fantastic wildlife destination in its own right. 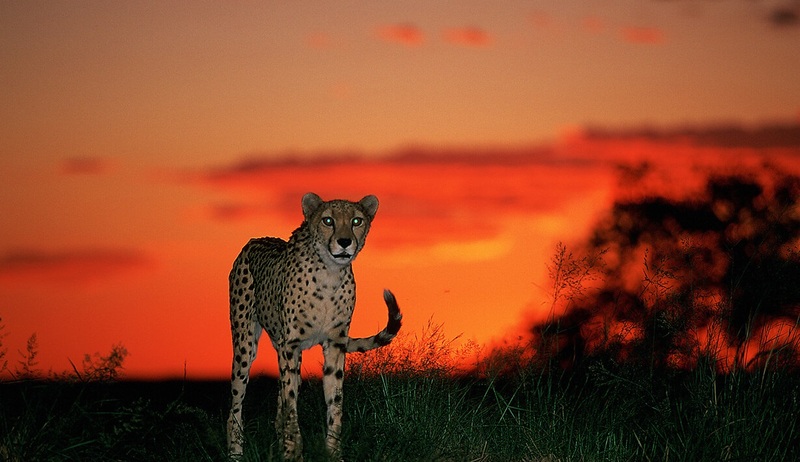 This afternoon and evening you may wish to enjoy some time soaking up the phenomenal views across the plains, including two waterholes where large herds of plain game congregate around including elephant, lion, leopard, cheetah, giraffe, zebra, wildebeest, springbok, oryx, kudu and the diminutive Damara Dik-Dik. 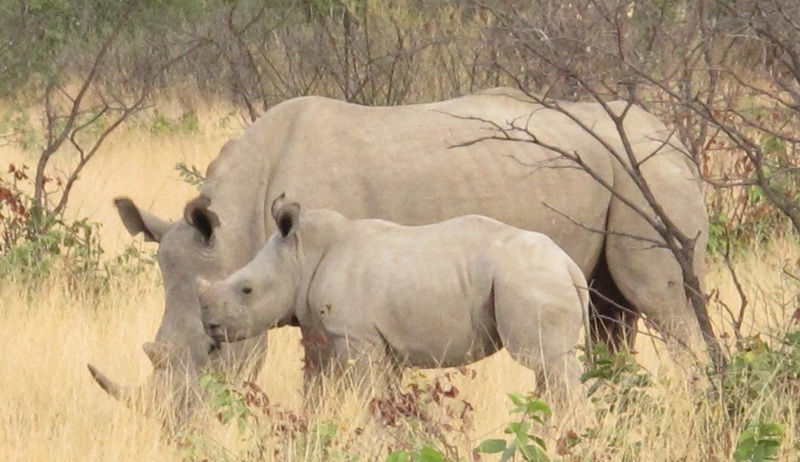 There are also good chances of spotting black and white rhino, as well as an abundant array of local bird species. 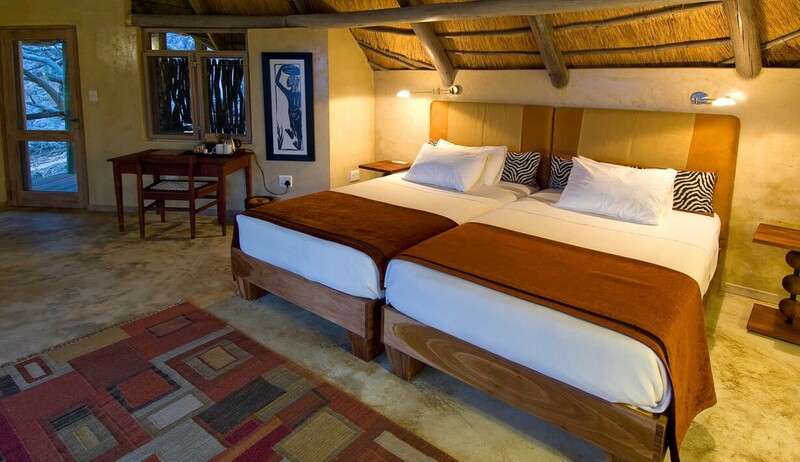 2 nights’ accommodation at Ongava Lodge in a standard room with dinners and breakfasts included. 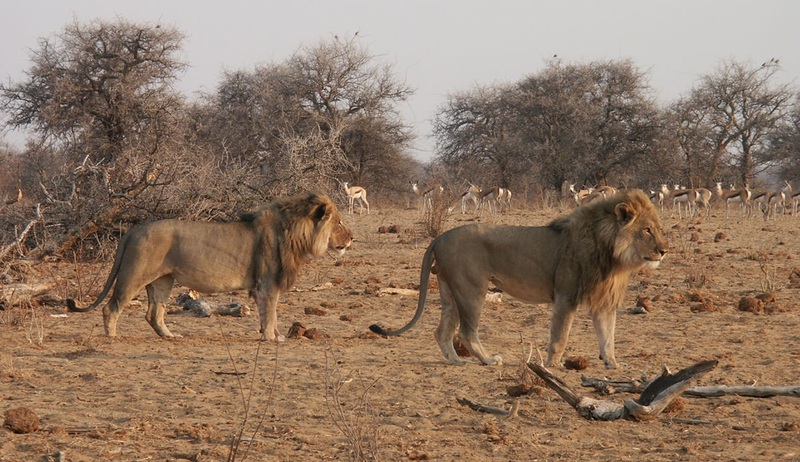 Today is free to spend at your leisure, and the recommended plan for today will likely be to venture into the stunning Etosha National Park, Namibia's premier game viewing destination. 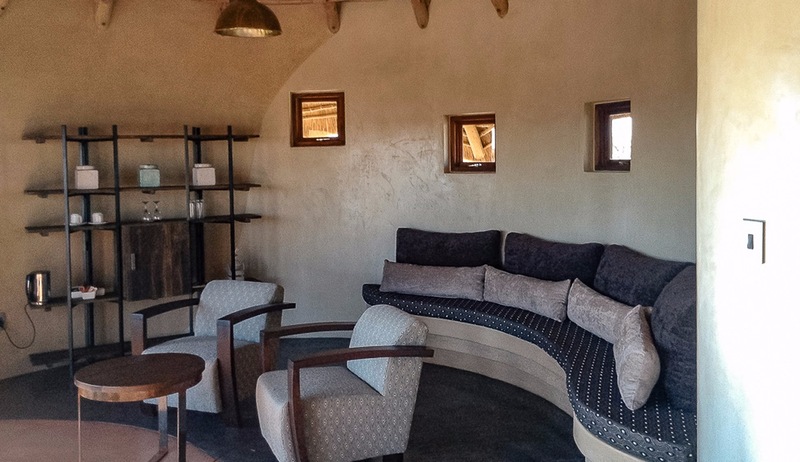 Ongava Lodge is located right outside the Andersson entrance gate into Etosha, meaning you could not be better placed for exploring this fantastic park that is home to 114 mammal species, 340 bird species, 110 reptile species and 16 amphibian species. Advice will be provided on which routes to take, safe driving practices and the best places to spot some of the park’s most enchanting wildlife. 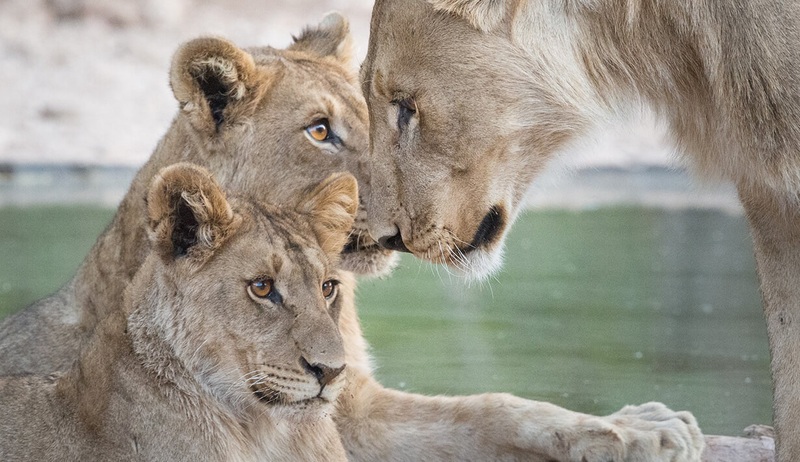 To enter Etosha you will need to pay park entry fees of N$250 per person per day and N$50 per vehicle (children under 16 are charged N$100), and the park is open from sunrise to sunset. Driving through this magnificent park on a constant lookout for wildlife, surrounded by enchanting scenery at every turn..without doubt this will be a day that will live long in the memory! 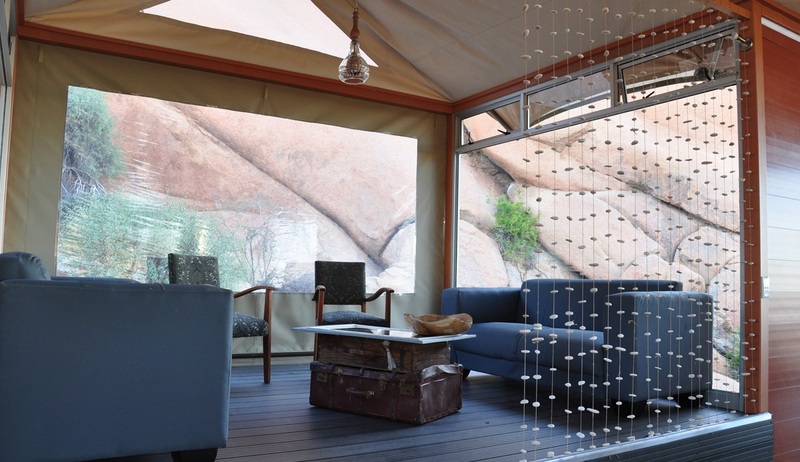 Leaving the wonders of Etosha behind, there is time for one last adventure as you take the approximately 4.5 hour drive to Otjiwarongo to arrive at the outstanding Okonjima Plains Camp, home of the incredible Africat foundation. 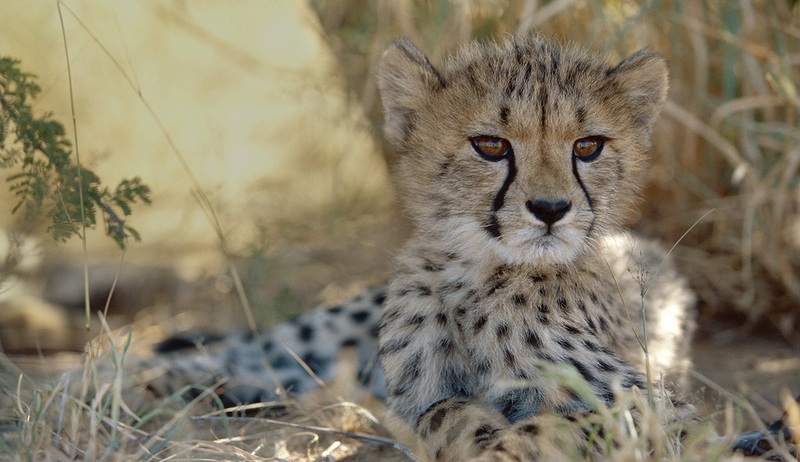 Nestled among the Omboroko Mountains, the Africat Foundation works with farmers and the public to conserve the big cat species of Namibia. The project is there to educate the local communities on how to work with big cat species rather than capturing them and removing them from arable land, and also includes a local school. 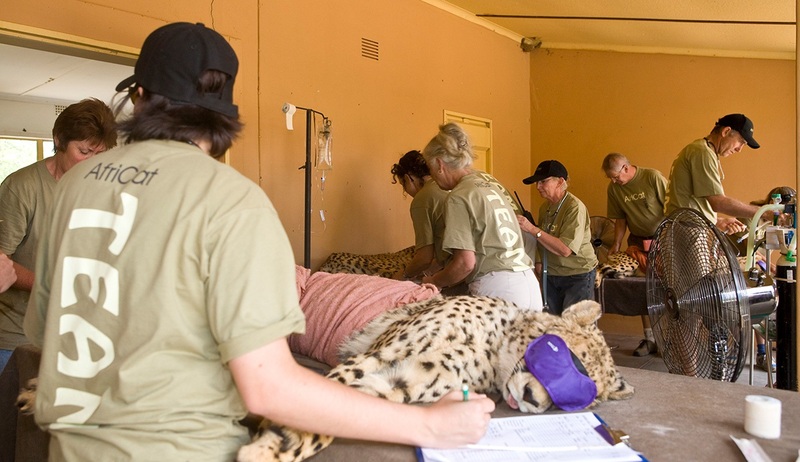 During your time here you will have the opportunity to learn all about the foundation’s exceptionally valuable work including rehabilitating big cat species, as well as enjoying a high standard of accommodation within beautiful wildlife-filled surroundings. 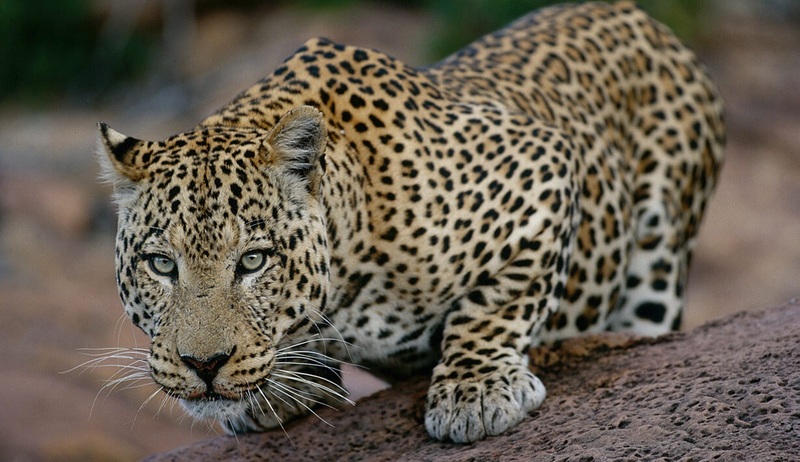 Activities such as cheetah tracking and leopard tracking are also available. After a long trip, a good night’s sleep is on the cards. 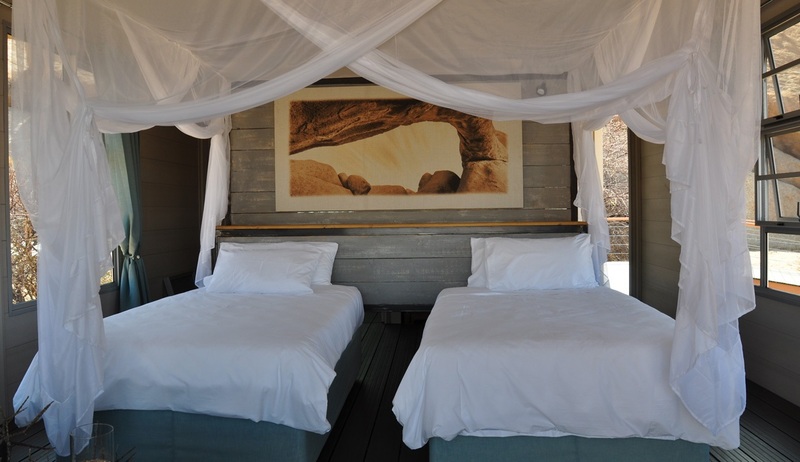 1 night accommodation at Okonjima Plains Camp in a standard room with breakfast and dinner included. 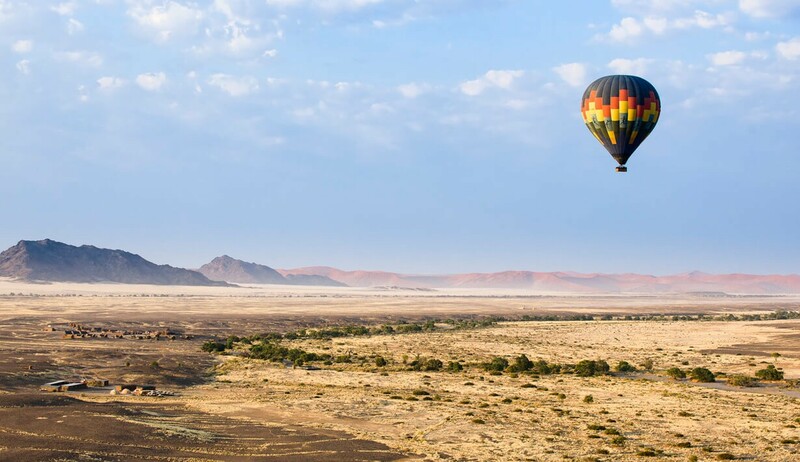 On the morning of day 15 it will be sadly time to say goodbye to Namibia as you make your way back to Windhoek International Airport to drop off your hire car and connect with your onward or homeward flights, filled with memories of your unforgettable Namibian adventure. 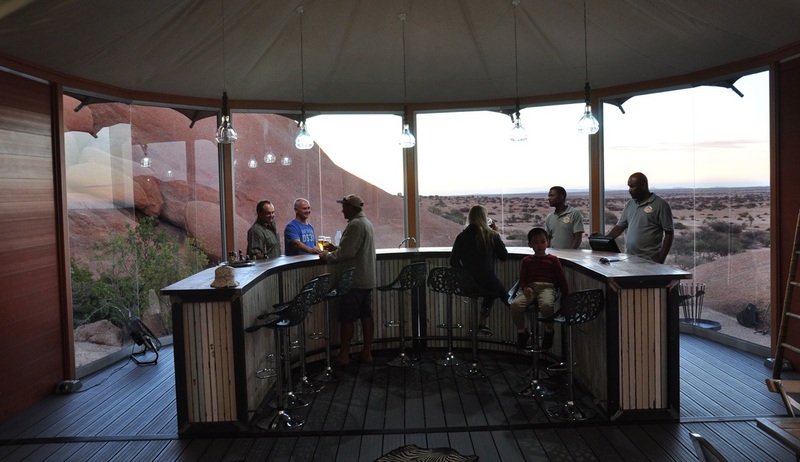 This family friendly wildlife lodge is located within the arid Namib Desert and offers unrivalled access to the red dunes of Sossusvlei. 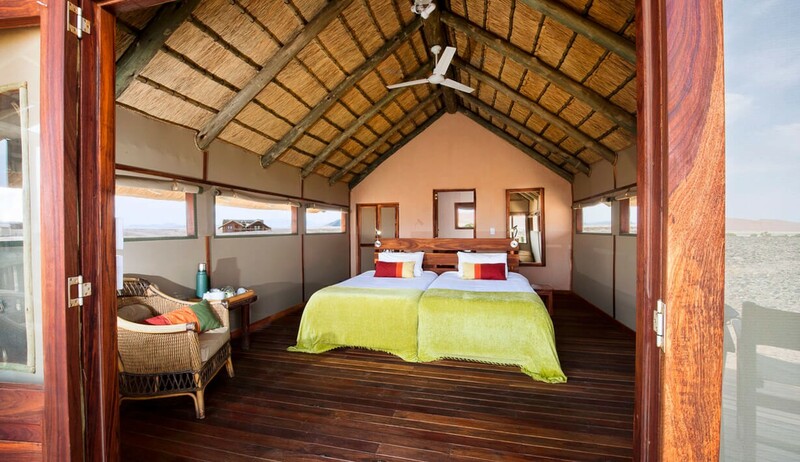 Situated on the 37,000 hectare private Kulala Wilderness reserve, the camp comprises of 23 thatched canvas "kulalas" with en-suite bathrooms. Each unit is built on a wooden platform to catch the cooling breeze and to emphasise the stunning views on offer. Private verandas offer unique viewpoints and each unit also has flat rooftop deck on which guests can sleep out under the famous crystal clear skies filled with stars. 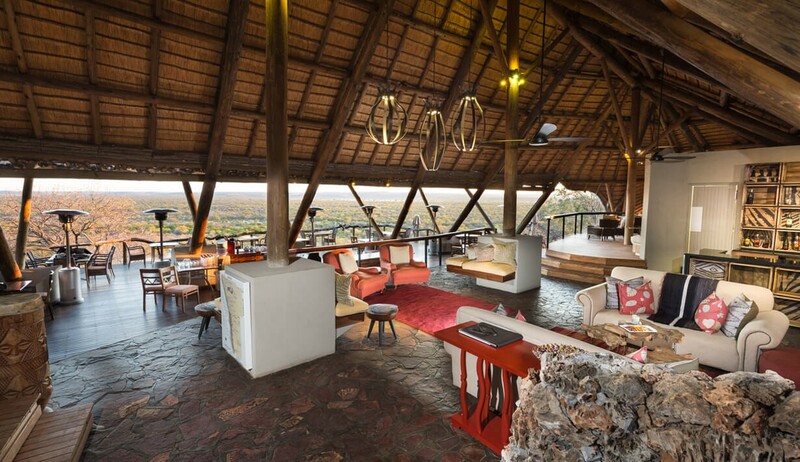 The main area of the lodge consists of a comfortable and welcoming lounge and bar area, dining area, plunge pool and a wrap-around veranda overlooking the riverbed offering beautiful views and photograph opportunities. 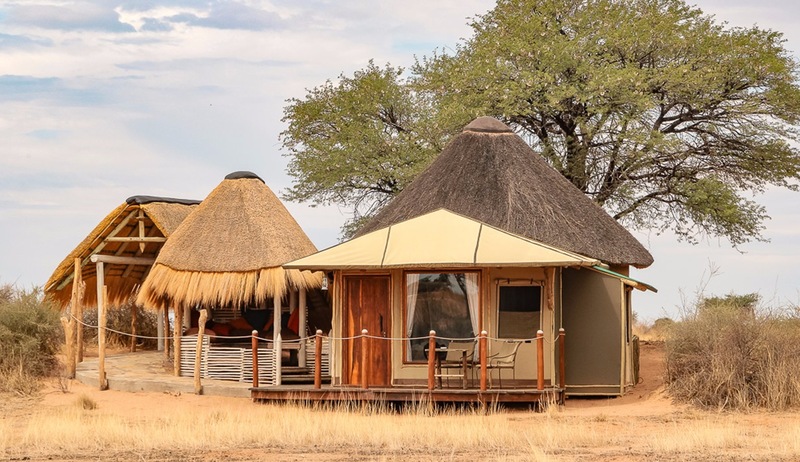 There are numerous activity options available at Kulala Desert Lodge, many of which revolve around exploring the dramatic Kulala Wilderness Reserve. You can do this via quad bike, hot air balloon, nature drive or on foot. 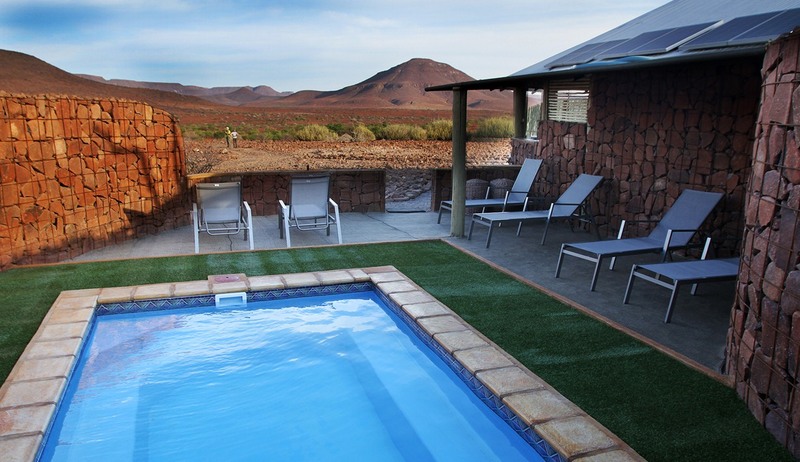 The lodge is the closest point of access to the iconic dunes of Sossusvlei and guided tours can take you around these stunning sights. Other exciting activities include visits to the Sesriem Canyon and horse riding safari tours. 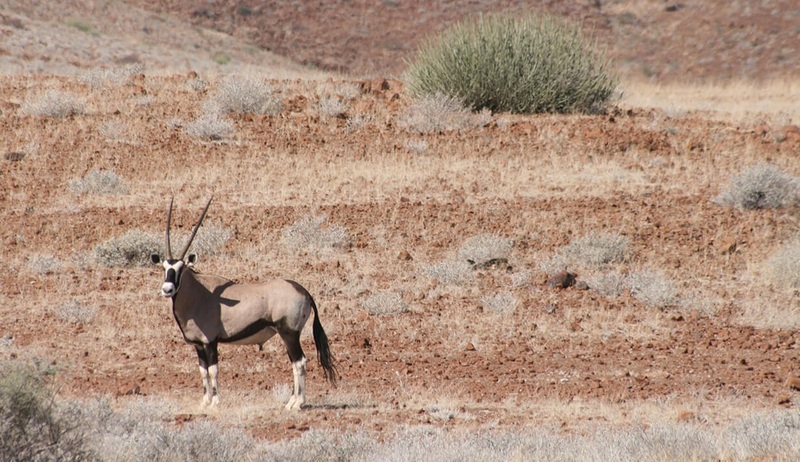 Desert-adapted wildlife to be seen on the Kulala Wilderness Reserve includes ostrich, springbok, gemsbok, spotted hyaena and the occasional brown hyaena. 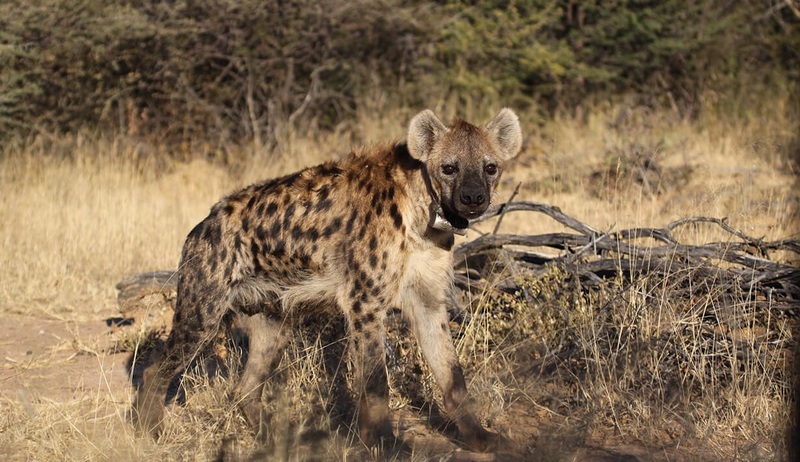 Smaller creatures such as bat-eared fox, black-backed jackal, porcupine, Cape fox and aardwolf can also be seen. One bird, the aptly named dune lark, has its entire global distribution limited to the area. 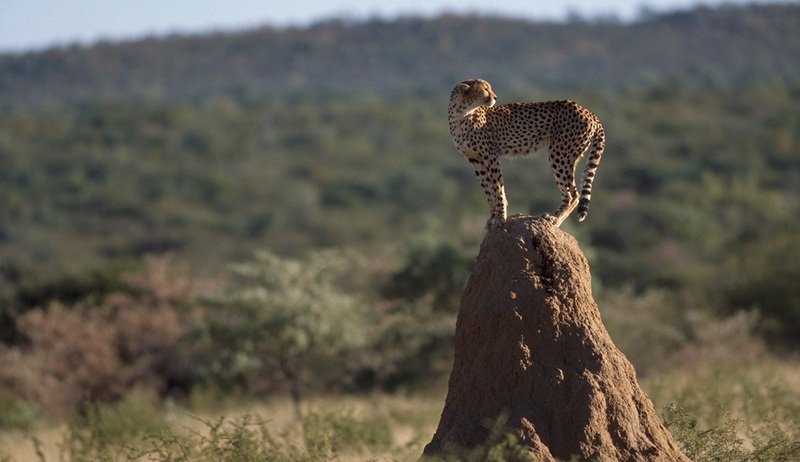 A surprisingly diverse array of insects, reptiles and rodents make their home around Kulala Desert Lodge. 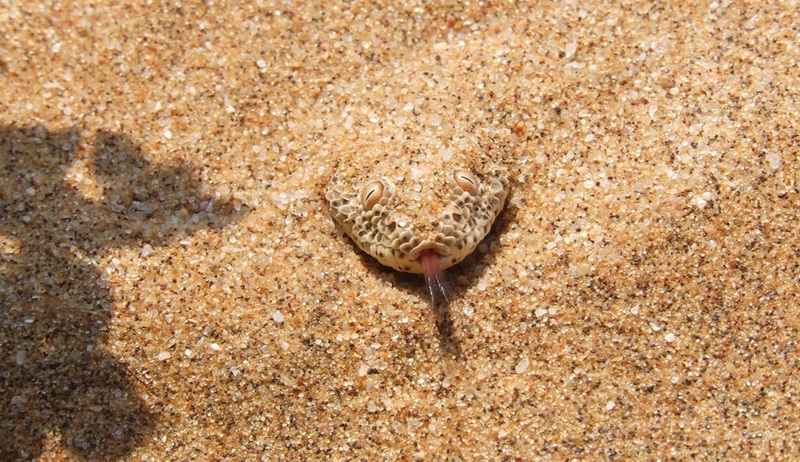 At dusk the call of barking geckoes can be heard, and walks reveal the smaller creatures - the buck-spoor spider with its multi-entrance burrow or the ambush specialist antlion, to name but a few. 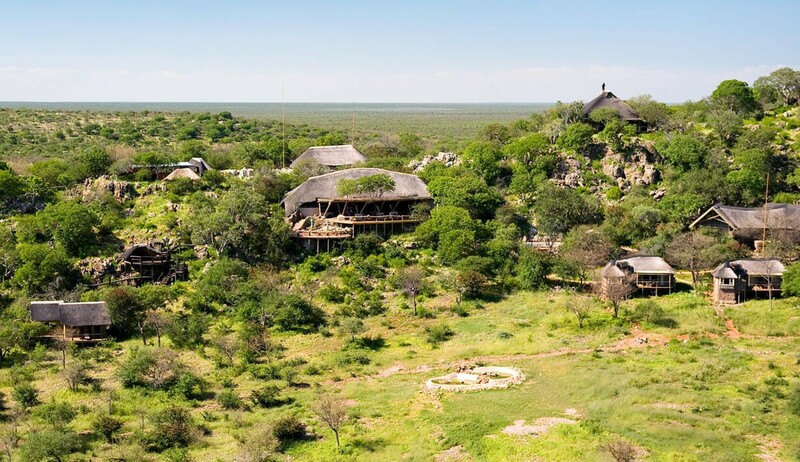 Perched upon a small hill in the Ongava Game Reserve this beautiful wildlife lodge offers stunning views over the plains and the abundant wildlife which resides in the area. 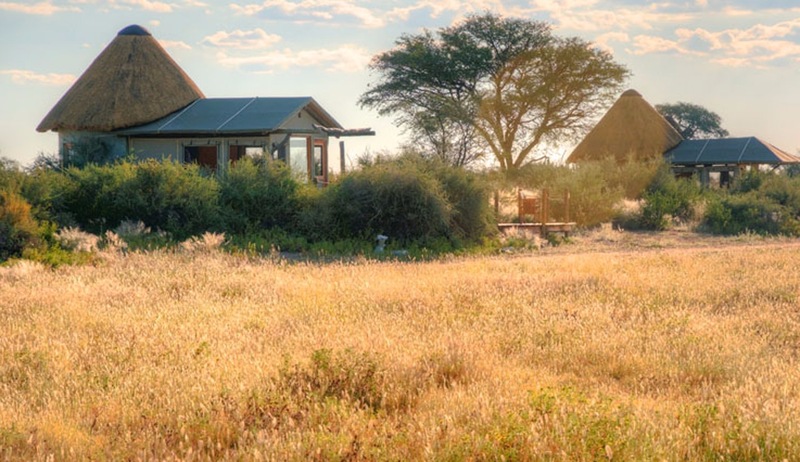 Situated on the southern boundary of Etosha National Park this wildlife camps consists of 14 luxurious private en-suite chalets built from brick, rock and thatch. 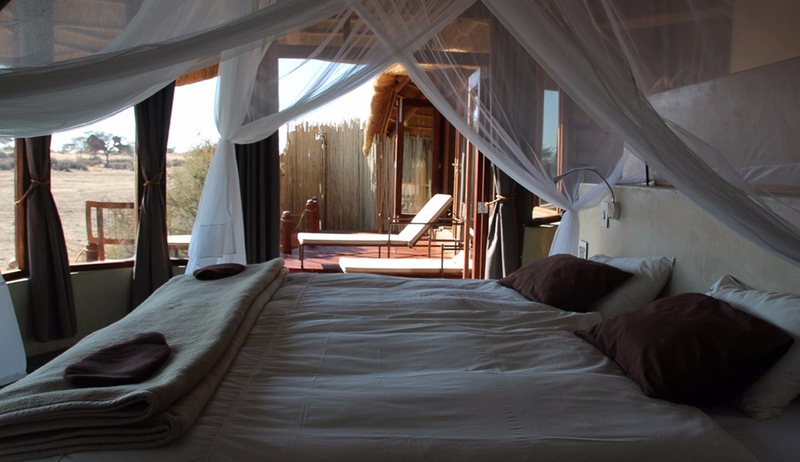 Each chalet has been exquisitely decorated and furnished and all have large and comfortable beds, seating areas, air-conditioning and private verandas on which guests can enjoy the impressive views of the surrounding plains and the waterhole below where a host of wildlife species can be found. 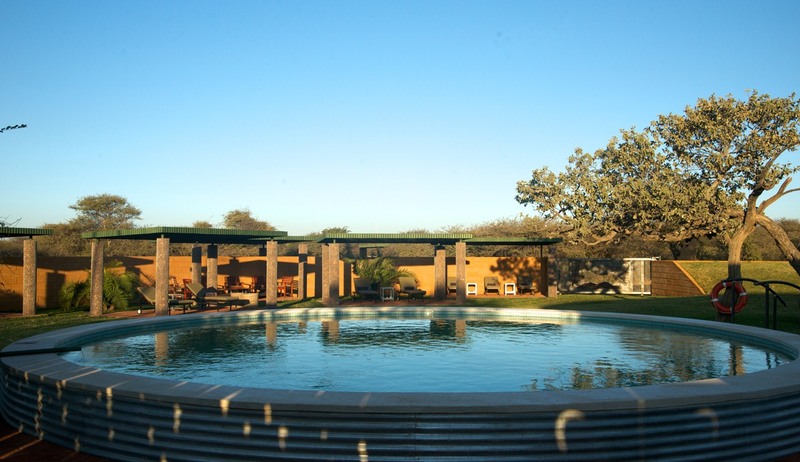 The main areas of this beautiful wildlife lodge consist of a large main lounge and bar area and a beautiful swimming pool area in which to relax in the warm midday sun. Meals are served either in the thatched dining room or on the dining deck under the stars of the famous crystal clear night sky. Ongava Lodge features almost all of the characteristic wildlife of the area, with plains game such as springbok, gemsbok, wildebeest, Burchell's zebra, Hartmann's mountain zebra, waterbuck, red hartebeest, giraffe, eland and endemic black-faced impala seen, while Etosha itself has elephant to add to the list. In Etosha, large herds of plains game concentrate around the waterholes in the dry season, making for exciting wildlife viewing. Lion move between the Park and the Reserve and both black and white rhino can be seen. Ten of Namibia’s 14 endemic bird species have been recorded in the 340 species seen on Ongava. 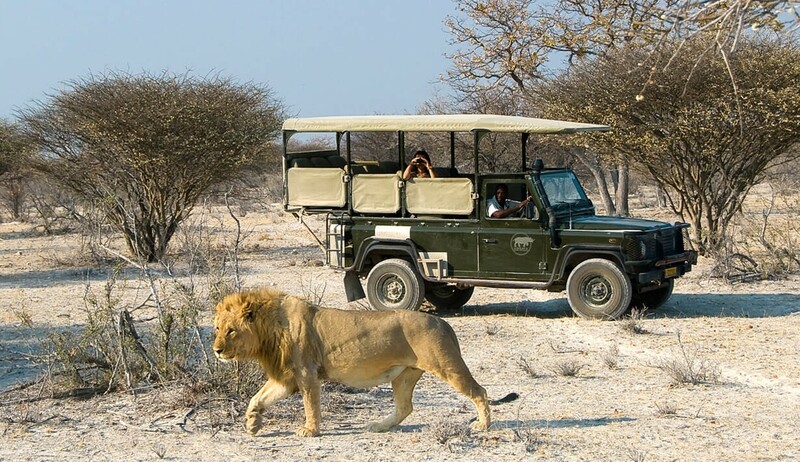 At Ongava Lodge there are numerous activities available - for example you can enjoy game drives through the Ongava Game Reserve at all times of the day, join a guided nature walk or take an excursion into Etosha National Park. 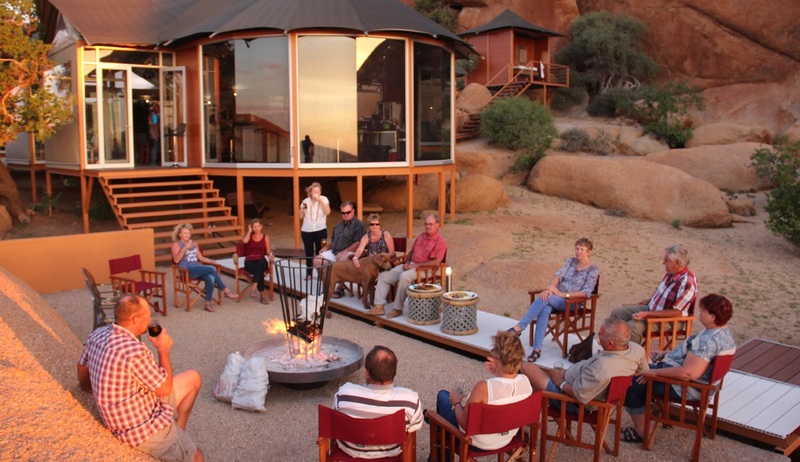 Set amongst stunning scenery in the ancient Etendeka lava flows of northern Damaraland, the Etendeka Mountain Camp is a natural, eco-friendly camp where the emphasis is on becoming one with nature and experiencing a relaxing and authentic safari experience. 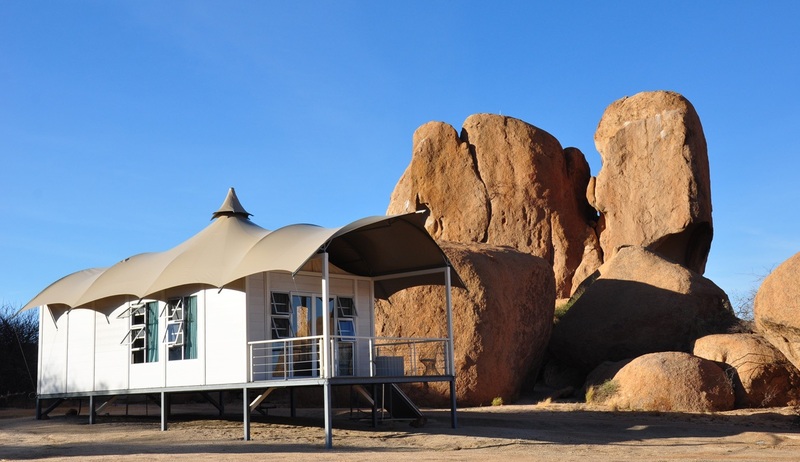 Lying at the foothills of the Grootberg massif this simple yet elegant camp offers the chance to explore Namibia’s unique natural attractions including beautiful landscapes and an array of wildlife. Simple and cosy accommodation is provided in 10 en-suite meru tents which are connected by pathways to the main dining tent. Extensive use is made of solar power throughout, both in the kitchen and the guest bathrooms, as well as for general electricity requirements. All tents have flush toilets, hot-and-cold running water and fantastic open-air “bucket” showers. 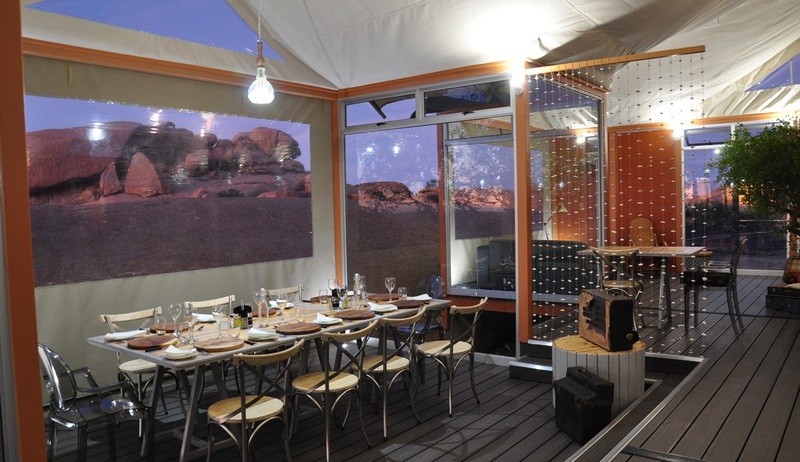 Delicious fresh meals are prepared, either on solar or on open fires, and are enjoyed al-fresco under the clear Namibia skies. 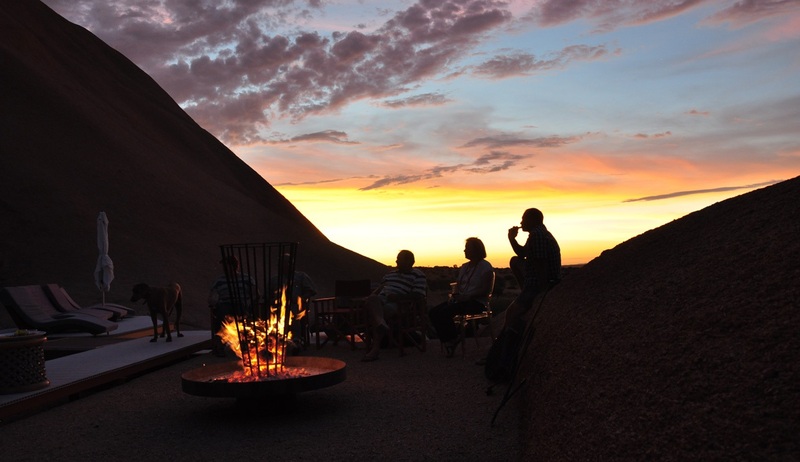 Days at Etendeka Mountain Camp are spent exploring the area via game drives or on foot and with the help of the exceptionally knowledgeable guides you will get the chance to encounter a diverse number of plant and mammal species including desert elephant, black rhino, cheetah, scorpions, snake eagles and thundering herds of oryx. Immerse yourself in a true authentic safari experience when you take part in the Tok Tokkie Trails and enjoy the immaculate wilderness of one of the world's most beautiful deserts. 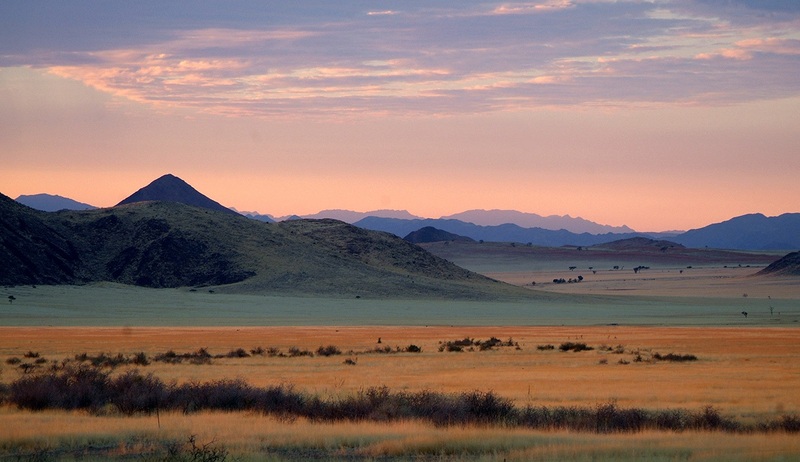 As you walk through this unspoilt land you can experience first hand the different aspects of the Namib with bat-eared foxes, barking geckos and Tok Tokkie beetles for company. 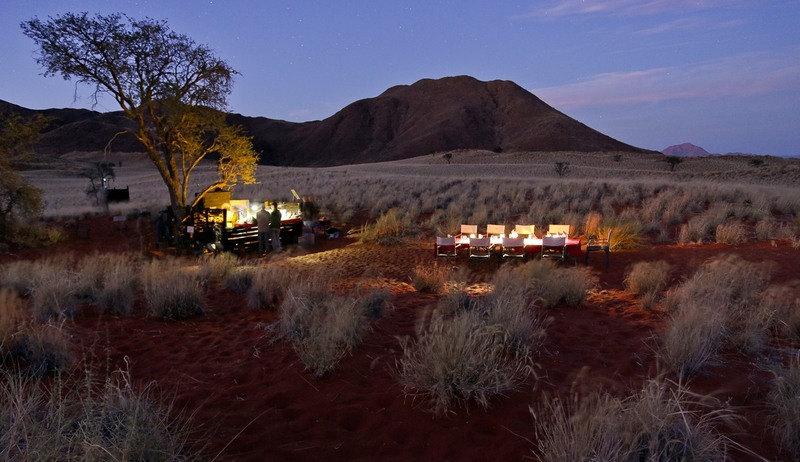 Stop each evening amongst the dunes for a delicious 3 course meal, a sundowner and a sleep-out under the stars of the crystal clear Namibian skies. Expert guides will ensure you witness all that makes this area so remarkable and this truly unique experience is one you certainly won't want to miss! For this unique walking tour you will be part of a small group of between 2 to 8 people. All equipment is provided so all you will need to bring with you is a comfortable pair of walking/hiking boots and a keen sense of adventure. 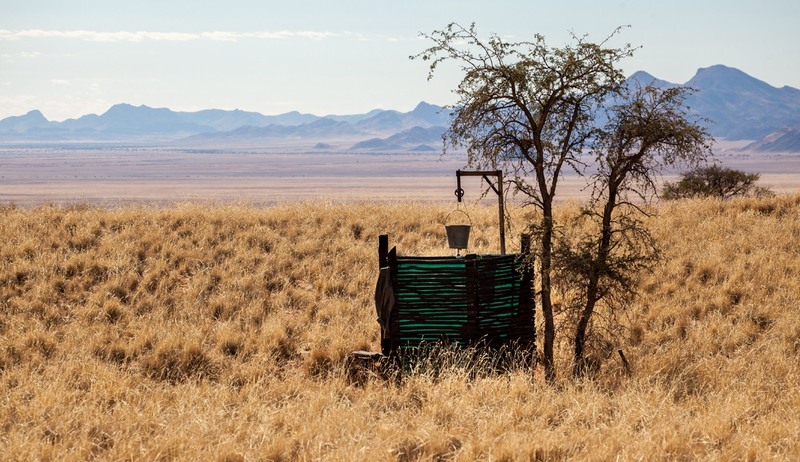 Hot bucket showers and open air toilets are provided and there are few experiences which come close to the feeling of showering in the middle of this stunning wilderness. Your team of friendly guides and helpers will take care of all meals so all you need to do is relax and enjoy every moment of this once in a lifetime experience. 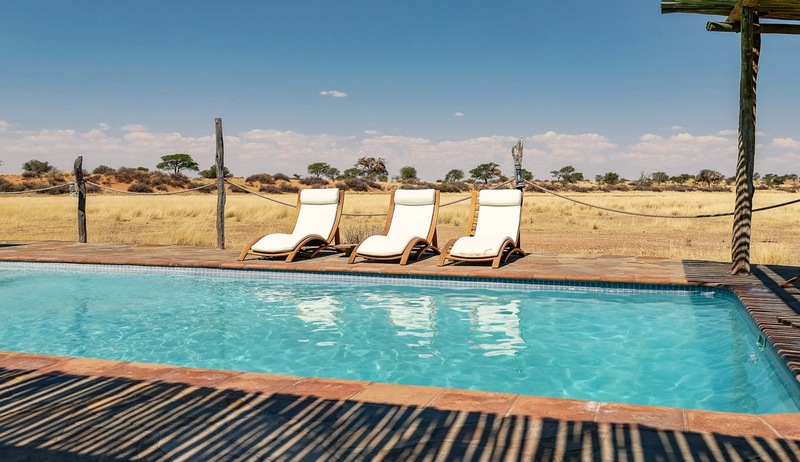 This tranquil lodge in the heart of the Kalahari region is a luxury oasis with high standard accommodation including pool and covered terrace. The main building has a restaurant, lounge area and bar. 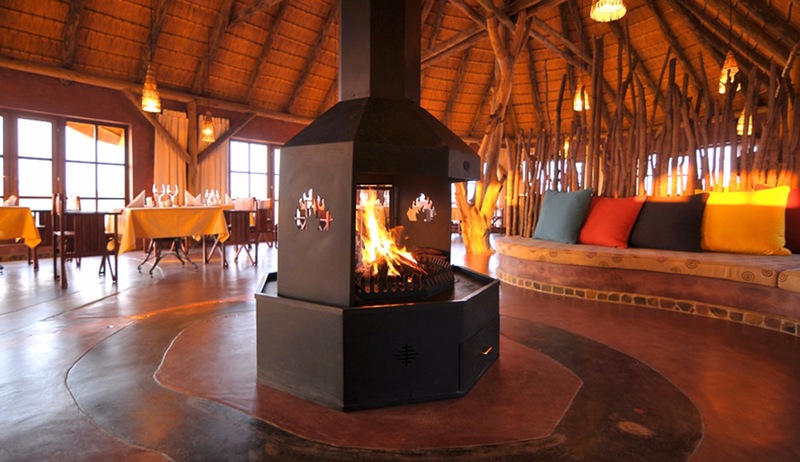 Accommodation is in separate thatched units, each with en-suite facilities and private deck and lounge area. Each lodge has picture window overlooking a watering hole. 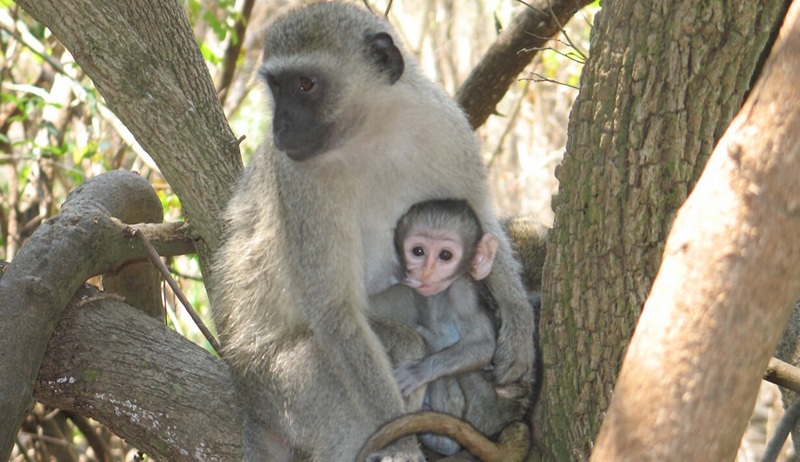 Activities available include game drives, walking and cycling. 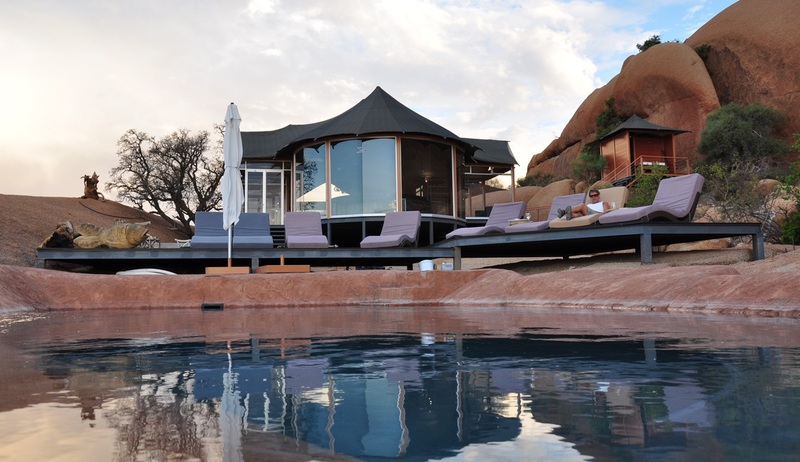 This stylish, newly opened lodge enjoys an exclusive location on the edge of the Namib Desert, on the northern periphery of the Spitzkoppe inselberg. 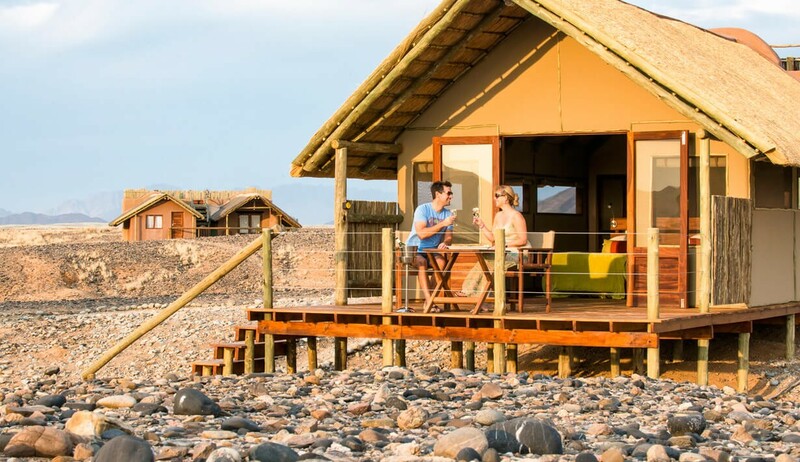 Situated between huge granite boulders, the lodge affords breathtaking views of the Brandberg and Erongo Mountains, and features 15 spacious and comfortable chalets. 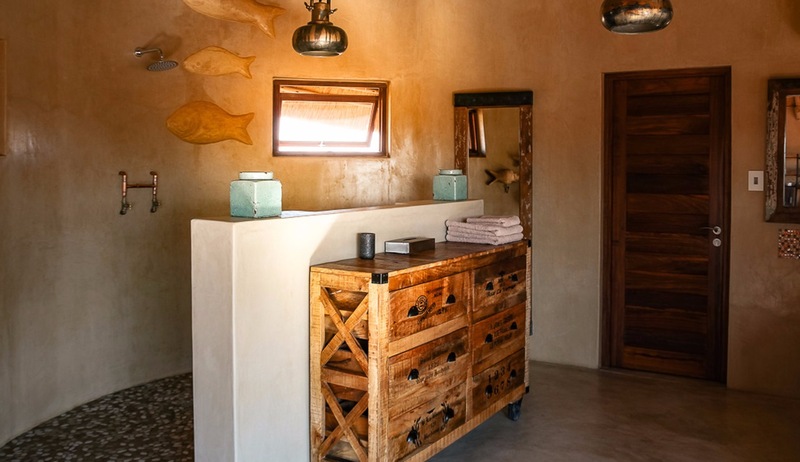 Each chalet in this unique and welcoming lodge has been tastefully furnished and has its own private bathroom and outside viewing deck, large comfortable beds, mosquito nets and gauzed windows. 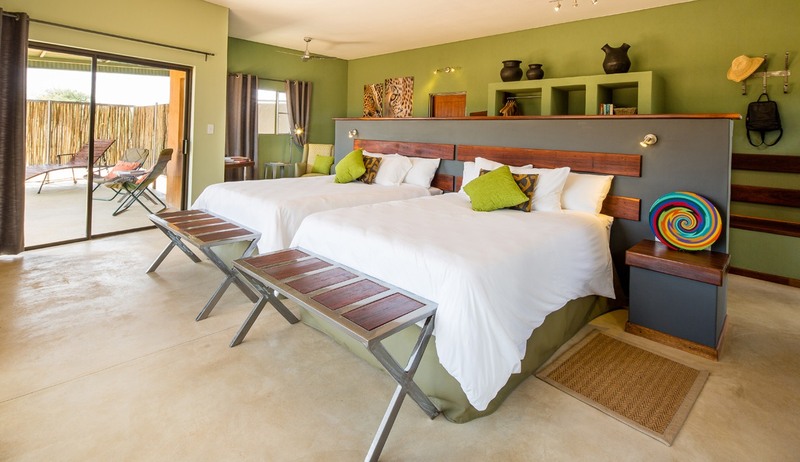 The whole lodge area is connected via elevated walkways to minimise the impact on the environment and the communal area includes an airy dining, lounge and bar area which opens out on to a spacious split level pool deck and fire pit area close to the natural rock pool. 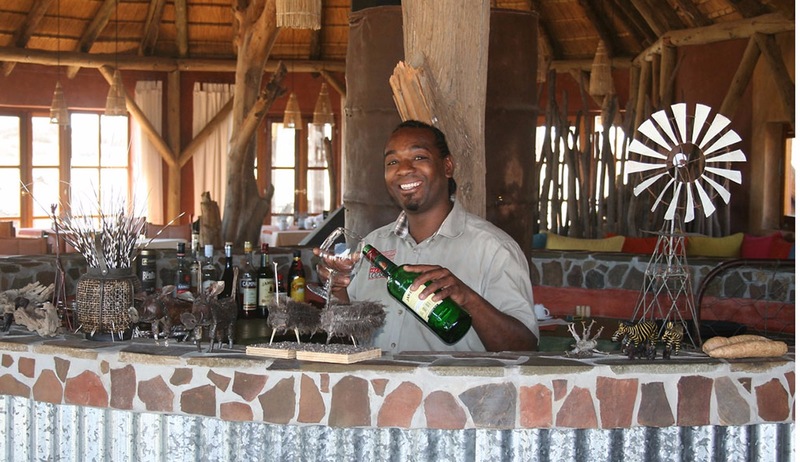 There is also a well-stocked curio shop and the whole lodge has been designed to exude a welcoming, relaxing and friendly atmosphere. Numerous optional activities are available at the lodge including archaeological site tours, horseback riding, photographic tours, biking tours, birding routes and rock climbing.